8 11/16 × 6 15/16 in. 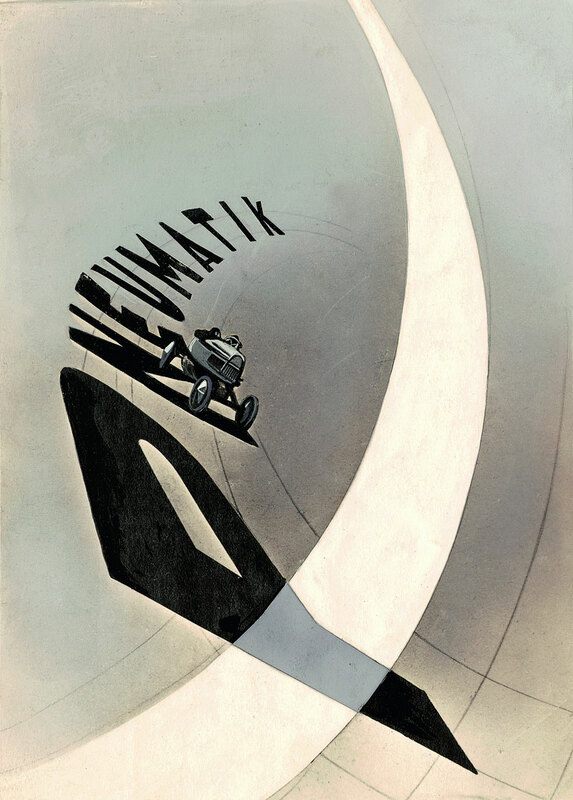 New visual creations, new combinations of technology and art: immersive installations featuring photographic reproductions, films, slides, posters, and examples of architecture, theatre, and industrial design that attempted to achieve a Gesamtwerk (total work) that would unify art and technology with life itself. Moholy’s “belief in the power of images and the various means by which to disseminate them” presages our current technological revolution. It’s time another of his idioms – the moral obligation to satisfy human values by producing for human needs, not for profit – is acted upon. The aim is to produce for human needs, not for profit. 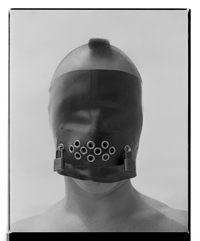 Many thankx to the Los Angeles County Museum of Art for allowing me to publish the photographs in the posting. Please click on the photographs for a larger version of the image. 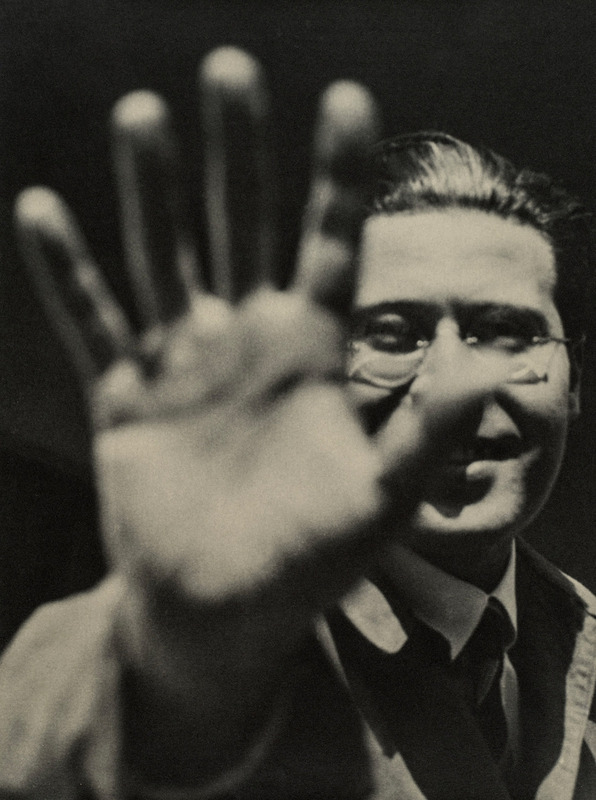 The first comprehensive retrospective of the work of László Moholy-Nagy (1895-1946) in the United States in nearly 50 years, this long overdue presentation reveals a utopian artist who believed that art could work hand-in-hand with technology for the betterment of humanity. 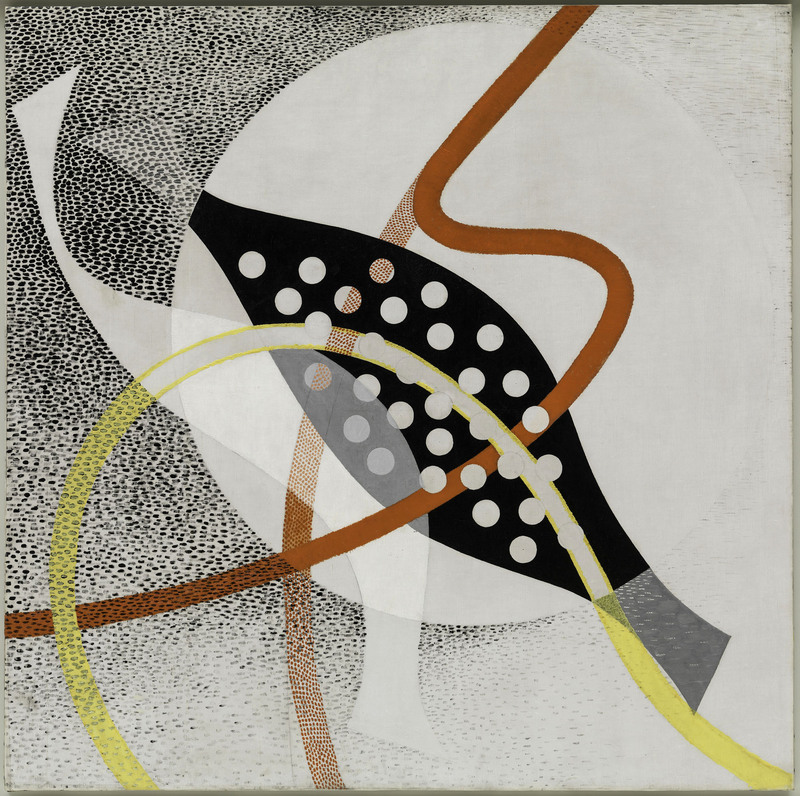 Moholy-Nagy: Future Present examines the career of this pioneering painter, photographer, sculptor, and filmmaker as well as graphic, exhibition, and stage designer, who was also an influential teacher at the Bauhaus, a prolific writer, and later the founder of Chicago’s Institute of Design. 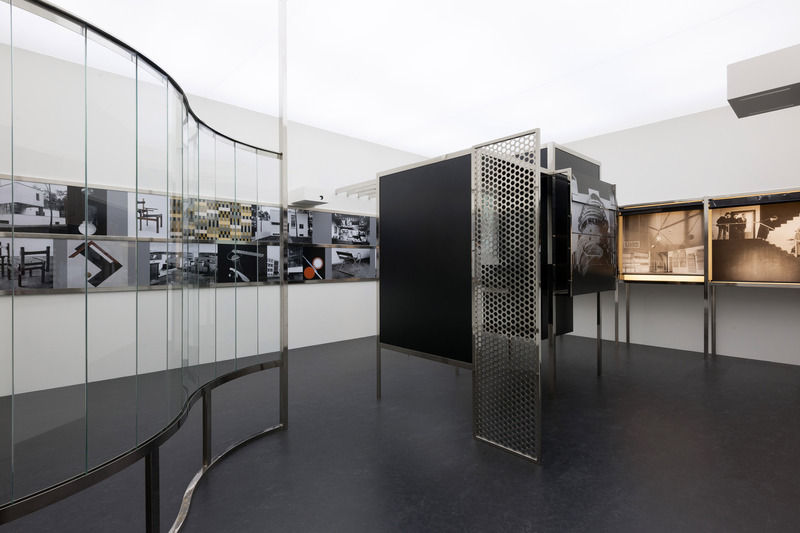 The exhibition includes more than 250 works in all media from public and private collections across Europe and the United States, some of which have never before been shown publicly in the U.S. Also on display is a large-scale installation, the Room of the Present, a contemporary construction of an exhibition space originally conceived by Moholy-Nagy in 1930. Though never realised during his lifetime, the Room of the Present illustrates Moholy’s belief in the power of images and the various means by which to disseminate them – a highly relevant paradigm in today’s constantly shifting and evolving technological world. 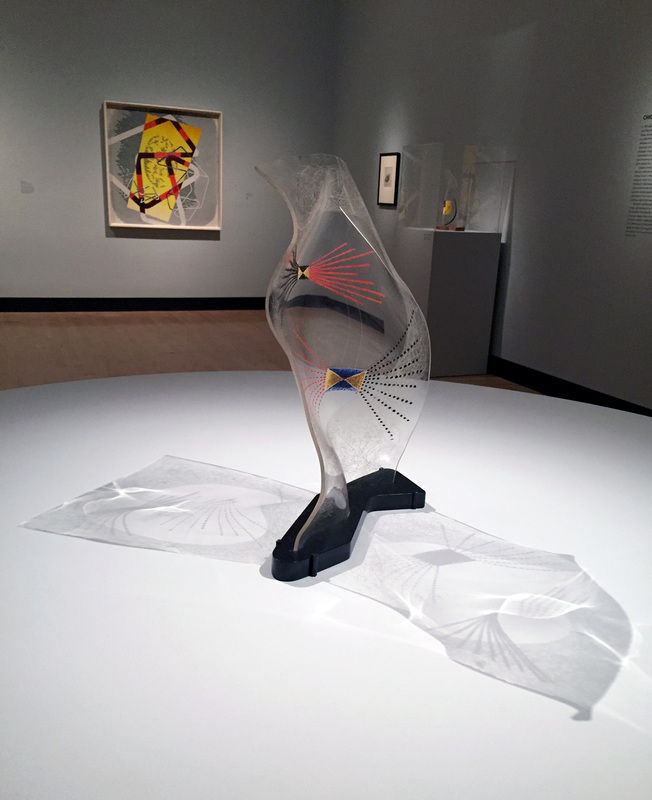 An exhibition walkthrough of Moholy-Nagy: Future Present at LACMA. 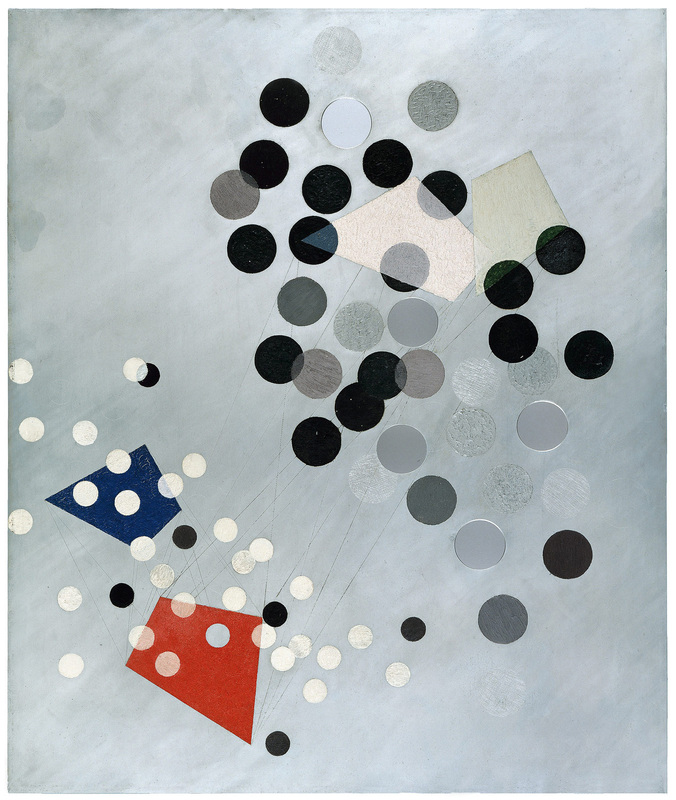 Mark Lee, Principal of Johnston Marklee and Carol S. Eliel, Curator of Modern Art at LACMA discuss how Johnston Marklee’s design of the exhibition dialogues with the multiple mediums that constitute Moholy-Nagy’s vast body of work. 9 5/8 × 6 3/8 in. 44 × 36 1/2 in. 8 7/16 × 11 7⁄16 in. 21 3/8 × 17 15/16 in. 23 3⁄16 × 18 1⁄4 in. 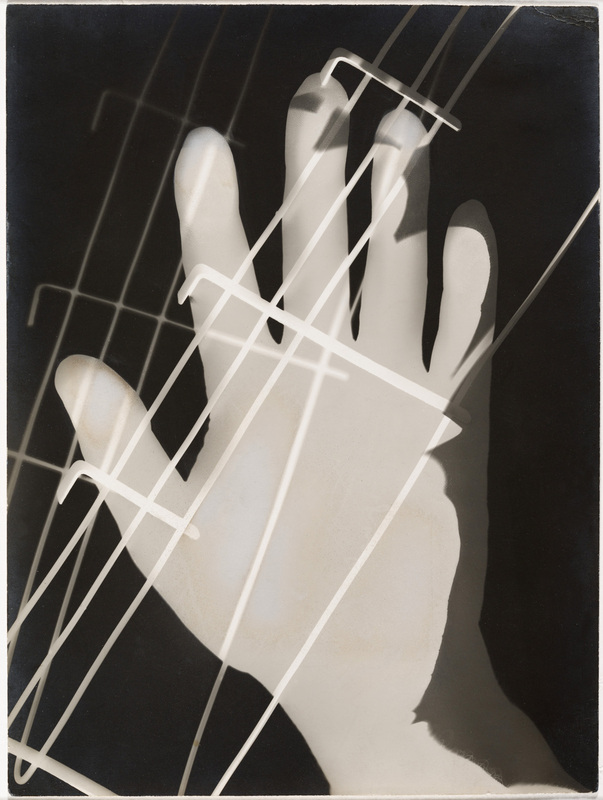 The Los Angeles County Museum of Art (LACMA) presents Moholy-Nagy: Future Present, the first comprehensive retrospective of the pioneering artist and educator László Moholy-Nagy (1895-1946) to be seen in the United States in nearly 50 years. 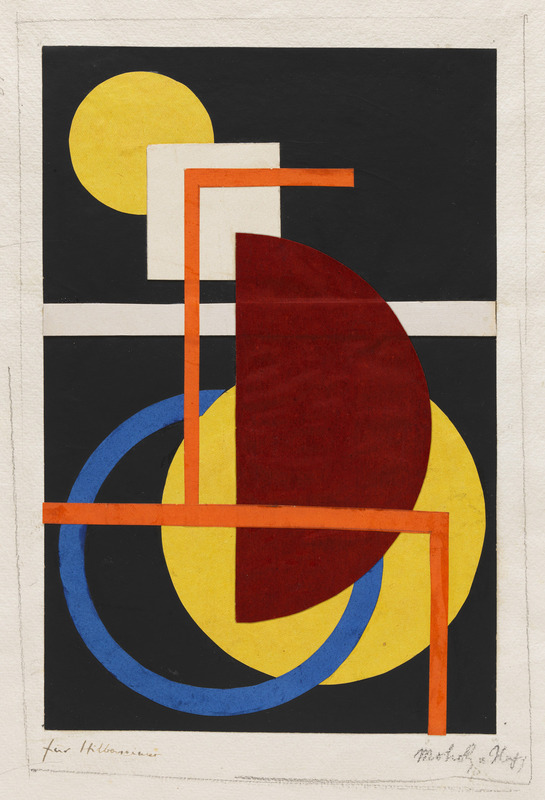 Organized by LACMA, the Solomon R. Guggenheim Foundation, and the Art Institute of Chicago, this exhibition examines the rich and varied career of the Hungarian-born modernist. One of the most versatile figures of the twentieth century avant-garde, Moholy (as he is often called) believed in the potential of art as a vehicle for social transformation and in the value of new technologies in harnessing that potential. 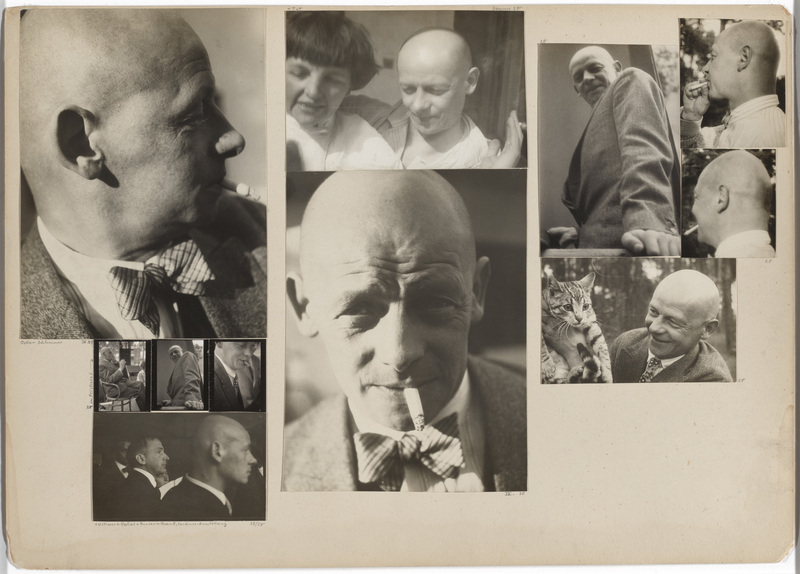 He was a pathbreaking painter, photographer, sculptor, designer, and filmmaker as well as a prolific writer and an influential teacher in both Germany and the United States. 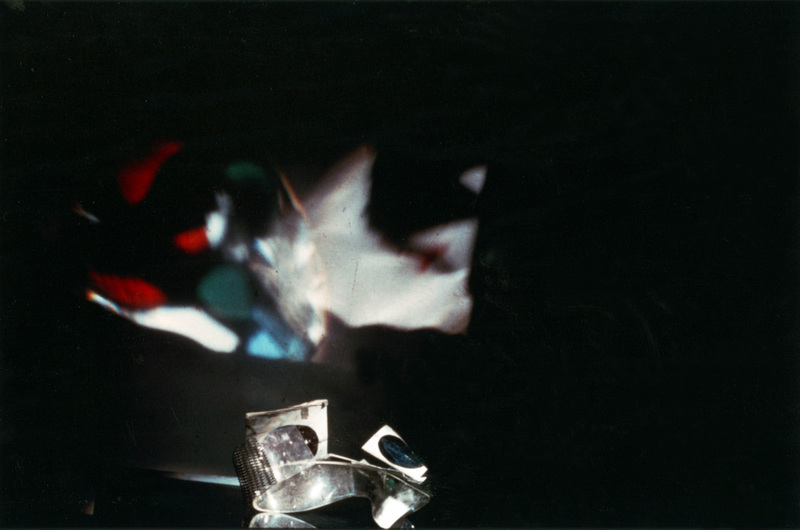 Among his innovations were experiments with cameraless photography; the use of industrial materials in painting and sculpture; research with light, transparency, and movement; work at the forefront of abstraction; fluidity in moving between the fine and applied arts; and the conception of creative production as a multimedia endeavour. Radical for the time, these are now all firmly part of contemporary art practice. 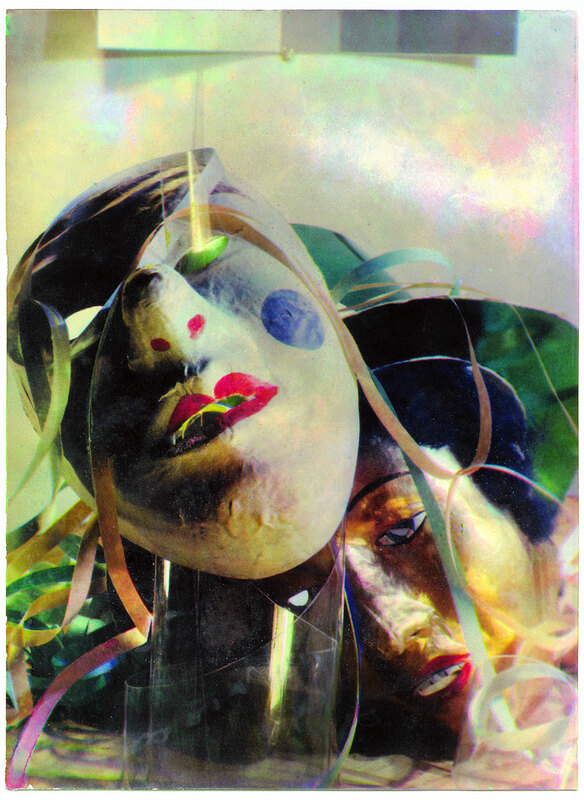 The exhibition includes approximately 300 works, including paintings, sculptures, drawings, collages, photographs, photograms, photomontages, films, and examples of graphic, exhibition, and theatre design. A highlight is the full-scale realisation of the Room of the Present, an immersive installation that is a hybrid of exhibition space and work of art, seen here for the first time in the United States. 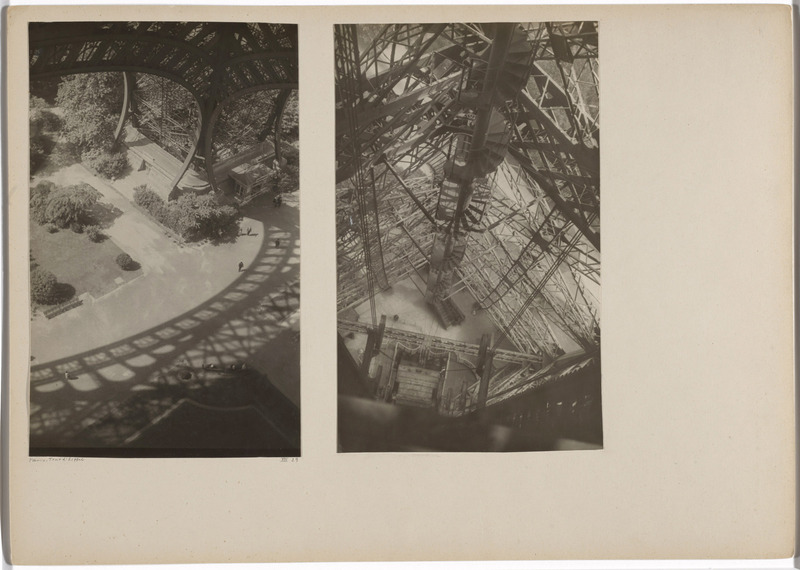 This work – which includes photographic reproductions, films, images of architectural and theatre design, and examples of industrial design – was conceived by Moholy around 1930 but realised only in 2009. The exhibition is installed chronologically with sections following Moholy’s career from his earliest days in Hungary through his time at the Bauhuas (1923-28), his post-Bauhaus period in Europe, and ending with his final years in Chicago (1937-46). 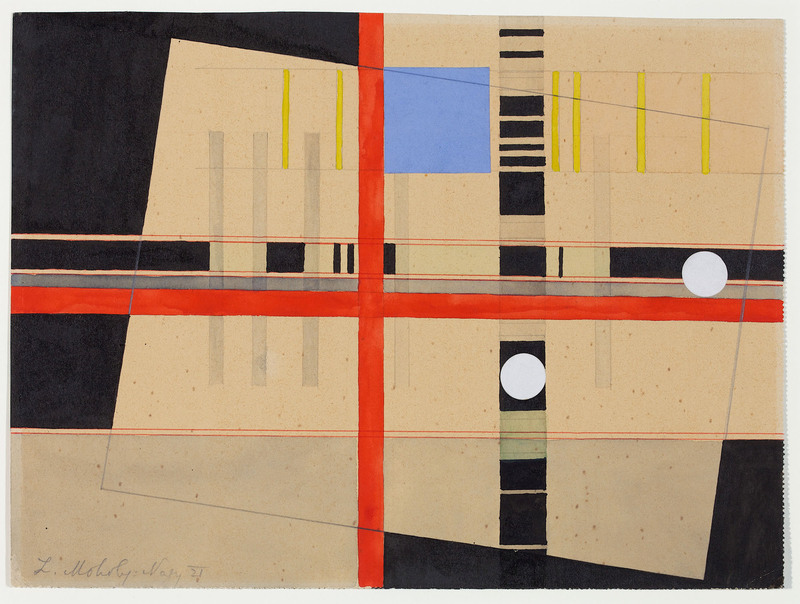 Moholy-Nagy: Future Present is co-organised by Carol S. Eliel, Curator of Modern Art, LACMA; Karole P. B. Vail, Curator, Solomon R. Guggenheim Museum; and Matthew S. Witkovsky, Richard and Ellen Sandor Chair and Curator, Department of Photography, Art Institute of Chicago. 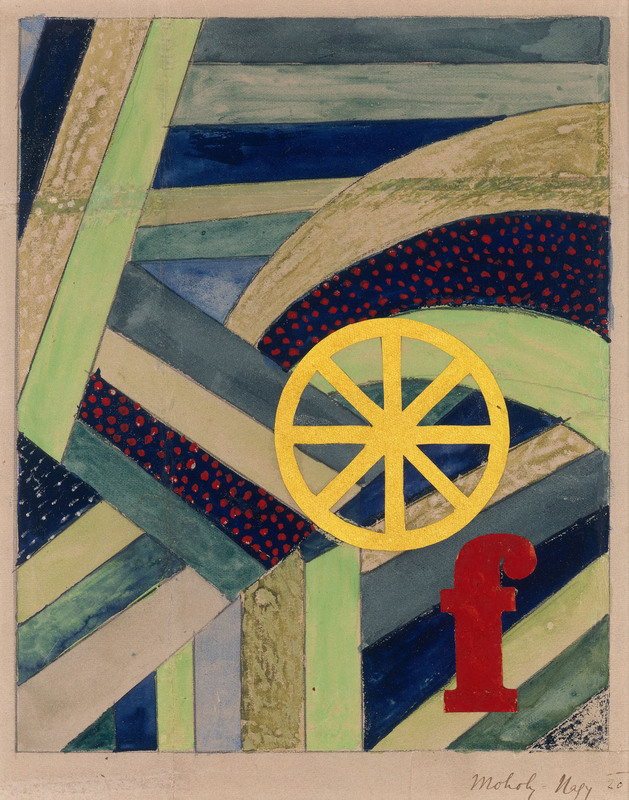 The exhibition’s tour began at the Solomon R. Guggenheim Museum in New York, continued at the Art Institute of Chicago, and concludes at LACMA. 15 3/4 × 11 13/16 in. 9 5/16 × 7 in. 7 3/16 × 9 1/2 in. 9 3/8 x 7 in. 9 1/16 × 7 1/16 in. 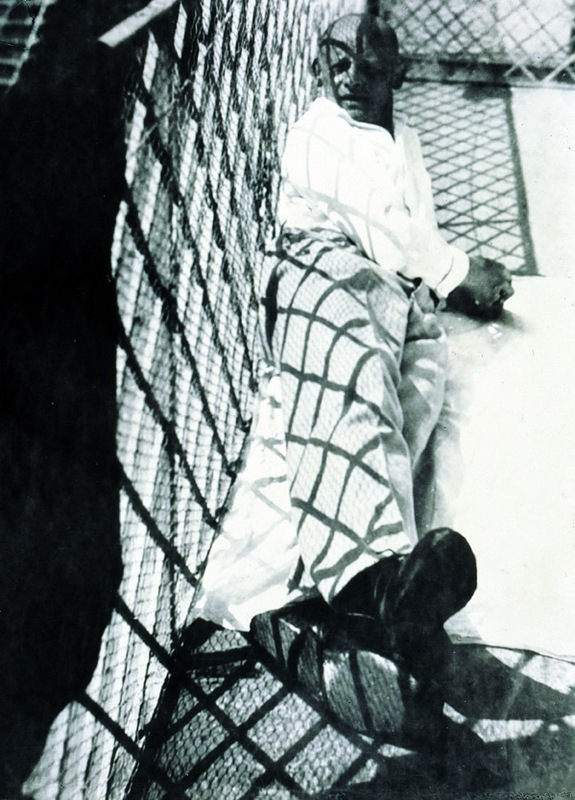 László Moholy-Nagy was born in Hungary in 1895. He enrolled as a law student at the University of Budapest in 1915, leaving two years later to serve as an artillery officer in the Austro-Hungarian army during World War I. He began drawing while on the war front; after his discharge in 1918 Moholy convalesced in Budapest, where he focused on painting. He was soon drawn to the cutting-edge art movements of the period, including Cubism and Futurism. Moholy moved to Vienna in 1919 before settling in Berlin in 1920, where he served as a correspondent for the progressive Hungarian magazine MA (Today). 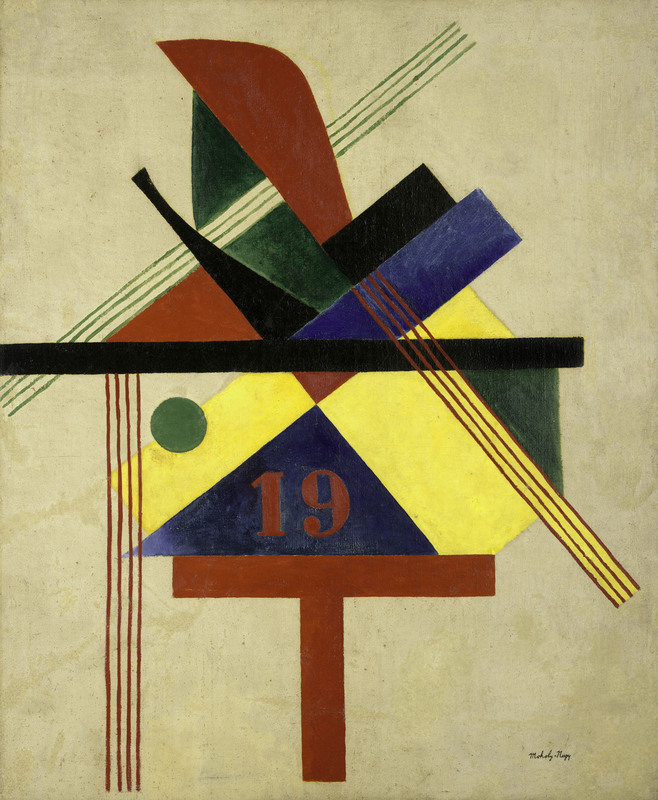 The letters and glyphs of Dada informed Moholy’s visual art around 1920 while the hard edged geometries and utopian goals of Russian Constructivism influenced his initial forays into abstraction shortly thereafter, particularly works that explored the interaction among coloured planes, diagonals, circles, and other geometric forms. 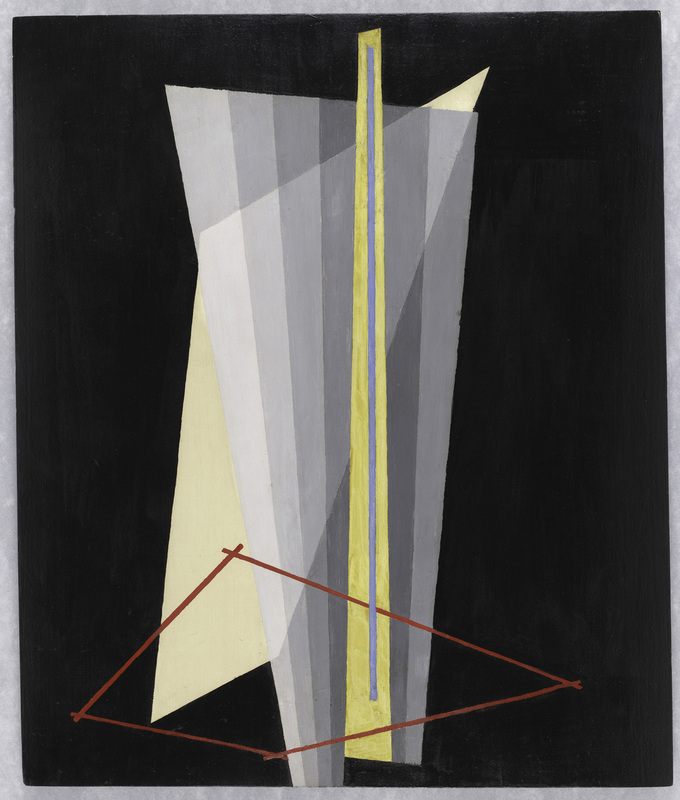 By the early 1920s Moholy had gained a reputation as an innovative artist and perceptive theorist through exhibitions at Berlin’s radical Galerie Der Sturm as well as his writings. His lifelong engagement with industrial materials and processes – including the use of metal plating, sandpaper, and various metals and plastics then newly-developed for commercial use – began at this time. In 1923 Moholy began teaching at the Bauhaus, an avant-garde school that sought to integrate the fine and applied arts, where his colleagues included Wassily Kandinsky, Paul Klee, and other path breaking modernists. Architect Walter Gropius, founder of the Bauhaus, invited Moholy to expand its progressive curriculum, particularly by incorporating contemporary technology into more traditional methods and materials. He also had a part in Bauhaus graphic design achievements, collaborating with Herbert Bayer on stationery, announcements, and advertising materials. 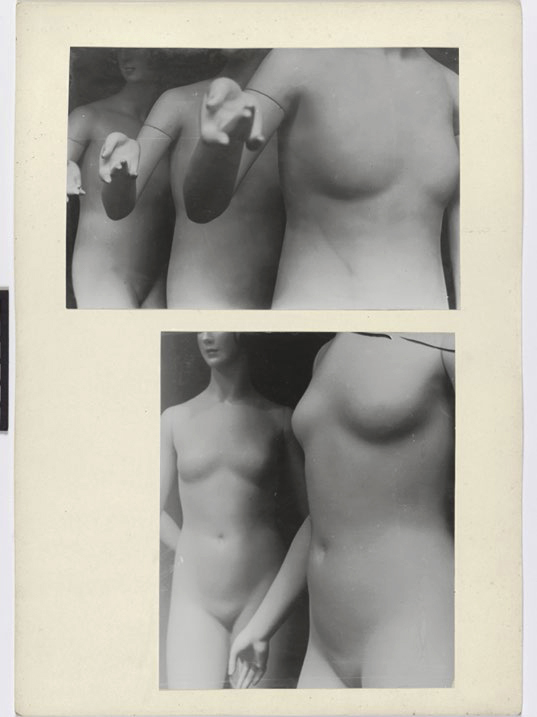 Photography was of special significance for Moholy, who believed that “a knowledge of photography is just as important as that of the alphabet. 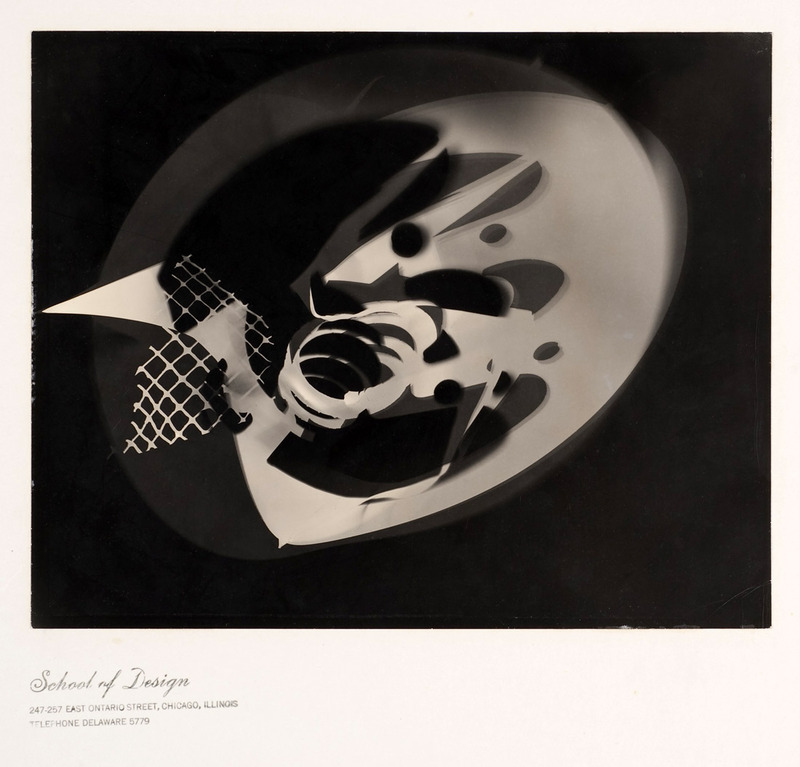 The illiterates of the future will be ignorant of the use of the camera and pen alike.” In the 1920s he was among the earliest artists to make photograms by placing objects directly onto the surface of light-sensitive paper. 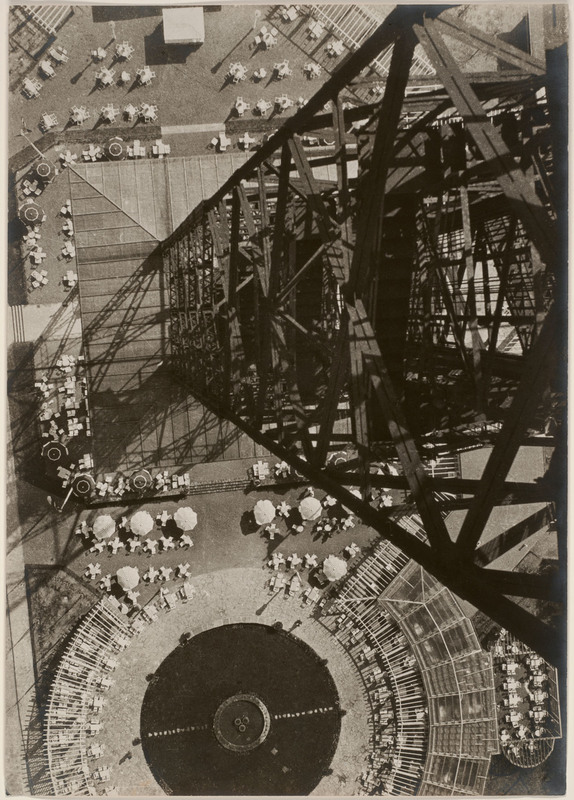 He also made photographs using a traditional camera, often employing exaggerated angles and plunging perspectives to capture contemporary technological marvels as well as the post-Victorian freedom of the human body in the modern world. 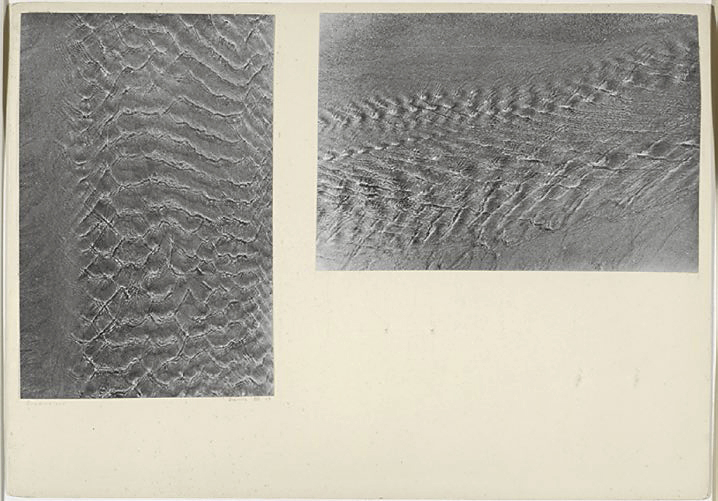 His photographs are documentary as well as observations of texture, captured in fine gradations of light and shadow. 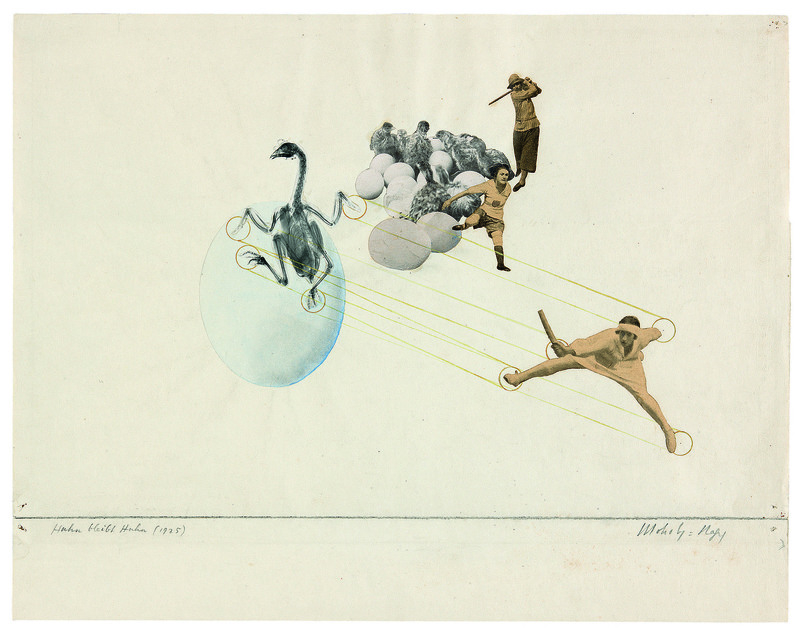 Moholy likewise made photomontages, combining assorted elements, typically newspaper and magazine clippings, resulting in what he called a “compressed interpenetration of visual and verbal wit; weird combinations of the most realistic, imitative means which pass into imaginary spheres.” Moholy-Nagy includes the largest grouping of the artist’s photomontages ever assembled. Even as his commercial practice was expanding, Moholy’s artistic innovations and prominence in the avant-garde persisted unabated. 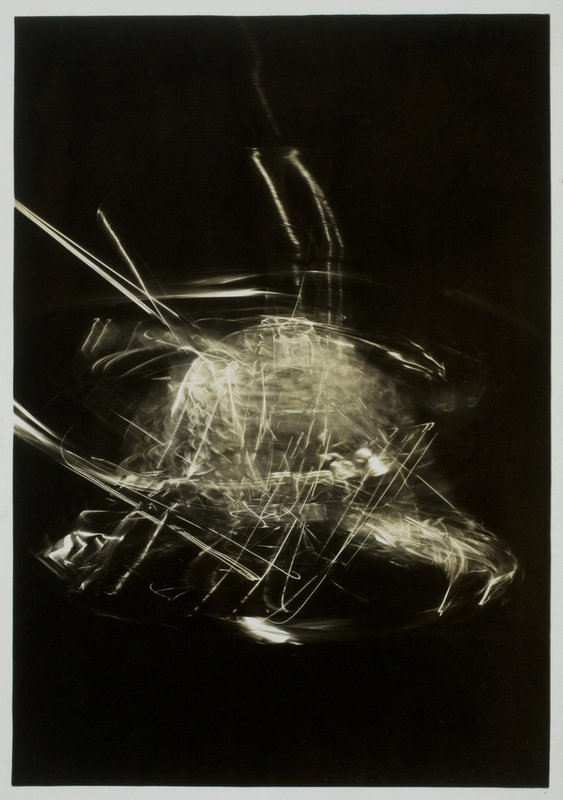 He continued to bring new industrial materials into his painting practice, while his research into light, transparency, and movement led to his 35 mm films documenting life in the modern city, his early involvement with colour photography for advertising, and his remarkable kinetic Light Prop for an Electric Stage of 1930. An extension of his exhibition design work, Moholy’s Room of the Present was conceived to showcase art that embodied his “new vision” – endlessly reproducible photographs, films, posters, and examples of industrial design. 15 3/4 × 15 3/4 in. 14 3/16 × 10 in. 9 7/16 × 7 1/8 in. 14 3/4 × 10 3/4 in. Mixed media, inner dimensions: 137 3/4 x 218 7/8 x 318 3/4 in. 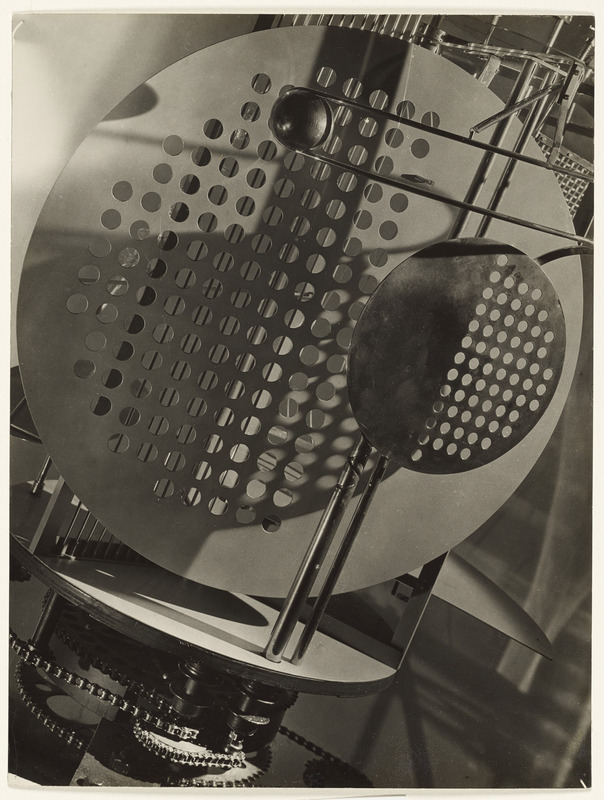 The Room of the Present is an immersive installation featuring photographic reproductions, films, slides, posters, and examples of architecture, theatre, and industrial design, including an exhibition copy of Moholy’s kinetic Light Prop for an Electric Stage (1930). The Room exemplifies Moholy’s desire to achieve a Gesamtwerk (total work) that would unify art and technology with life itself. A hybrid between exhibition space and work of art, it was originally conceived around 1930 but realised only in 2009, based on the few existing plans, drawings, and related correspondence Moholy left behind. 46 7/8 × 47 1/8 in. 6 9/16 x 4 7/16 in. 6 7/16 x 4 1/2 in. 62 3/16 × 25 9/16 in. 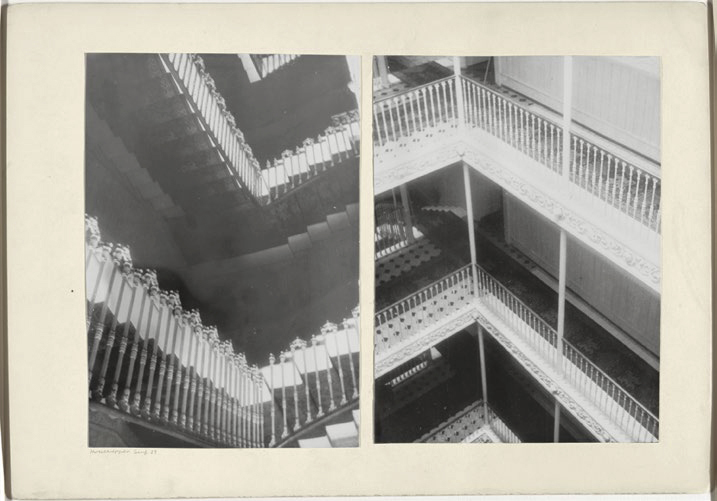 A fabulous posting on the photocollages of that most excellent of artists, Josef Albers, where the selection of images and their pairings “take on questions of duality, time, and narrative…” – to which I might add, questions of perspective and context. These photocollages are a revelation to me. Here the visual plane is fragmented, the scale mixed, shape, direction and space/time continuity confused. 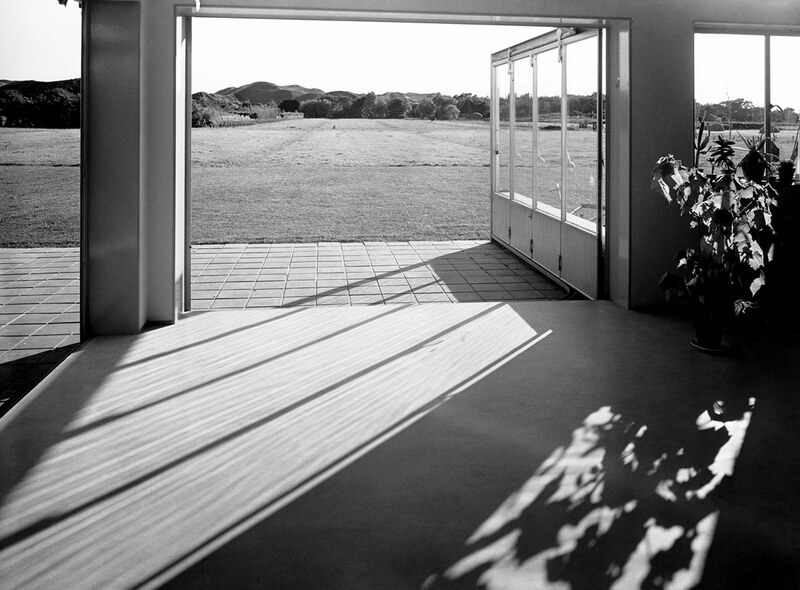 Structures are repeated; time is overlaid; perspective is shifted; narrative is multiplied. This is complex, New Vision image making, not just the downwards or upward looking objectivity of Russian constructivism, but a more nuanced splicing of time and space. 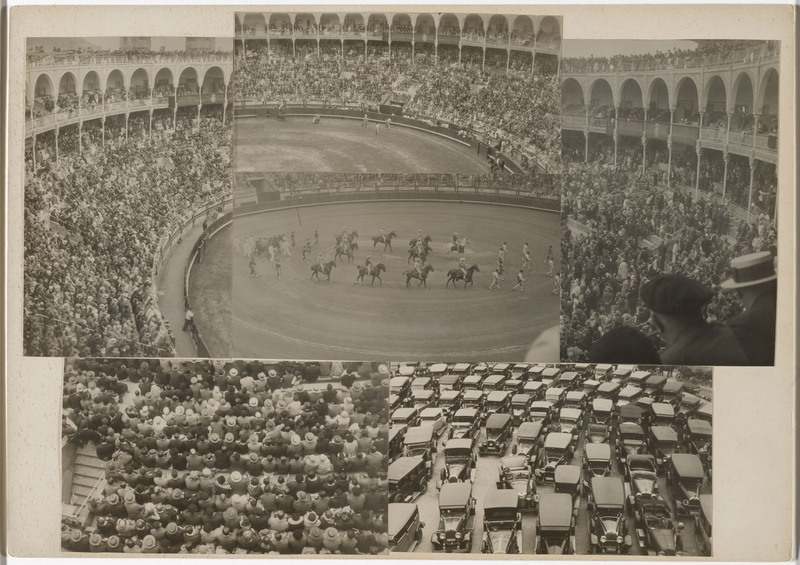 The bullfight is magnificent in its “in the round” picturing … the splitting of the arena in the central images confuses direction, scale and circularity. There are further “in the round” elements (mimicking Renaissance triple portrait painting such as Triple Portrait of Cardinal de Richelieu (1642) in the National Gallery of Art, London), seen in the work Amédée Ozenfant, summer 1931 (below) which, while objectifying the human countenance, contains that nugget of truth: that portraiture is an expression of humanism. 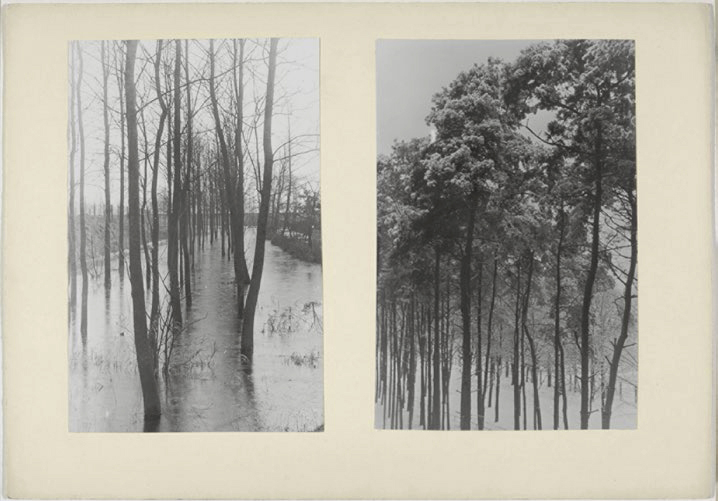 Other photocollages, for example Road, Paznauntal, July 1930; Hotel staircases, Geneva, 1929 (with its Escher-like construction); Flooded trees and forest; and Dessau, end of winter, 1931 (all below), challenge our orientation in the world both physically and spiritually. 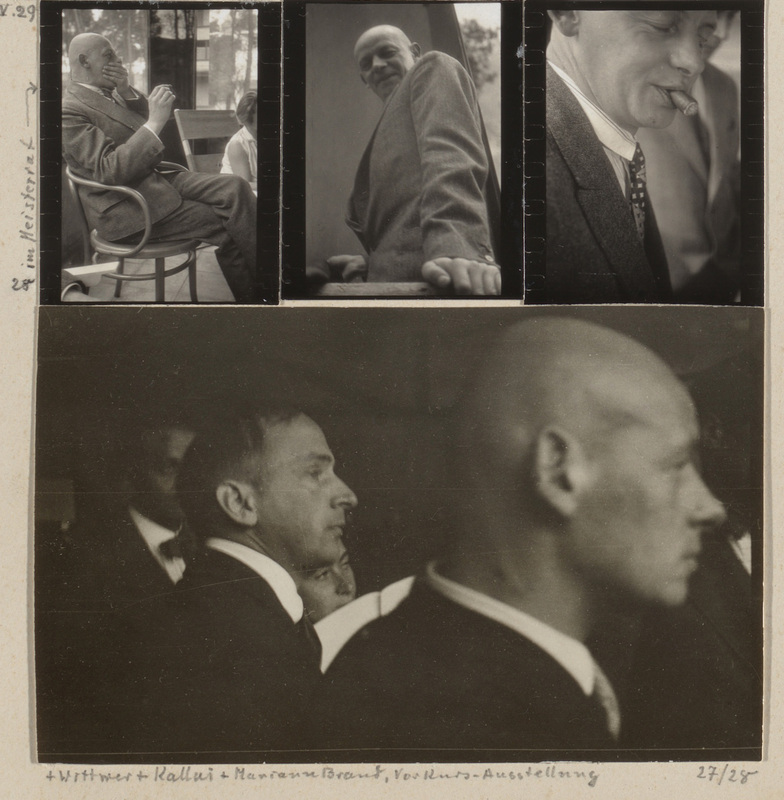 These photocollages, 70 of which were made between 1928 and 1932, were never discovered until after Albers was dead. No one ever knew he took photographs. but it was obviously important to him that he did so. Would he be able to say whether he was being serious, or he was having fun? Probably both. What a shame that they are often mutually exclusive in the last 30 -40 years. It’s all very well to be able to say you are having fun – but what about being in this state (i.e. 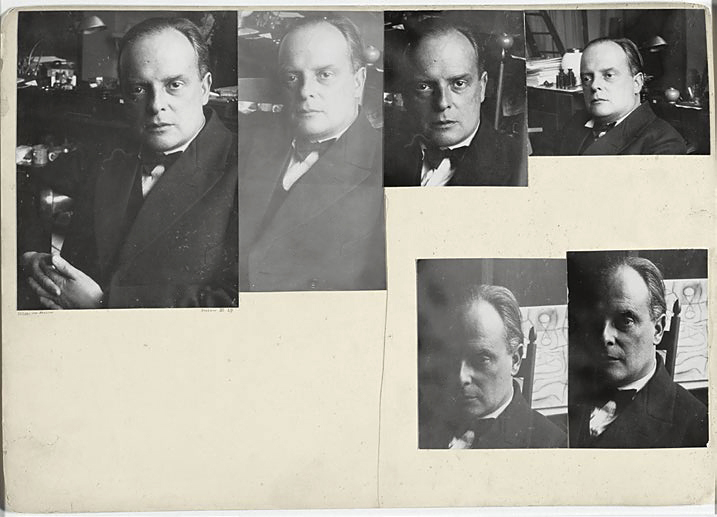 Albers state when he was compositing the photographs) and not even knowing … not even thinking of the question. Perhaps his was a private form of meditation on the nature of vision. Sarah Hermanson Meister. “Josef Albers: An Open Mind for the Newer and Nearer,” from One and One Is Four: The Bauhaus Photocollages of Josef Albers, Museum of Modern Art, New York, 2016, pp. 11-12. Sarah Hermanson Meister. “Josef Albers: An Open Mind for the Newer and Nearer,” from One and One Is Four: The Bauhaus Photocollages of Josef Albers, Museum of Modern Art, New York, 2016, p. 15. Sarah Hermanson Meister. 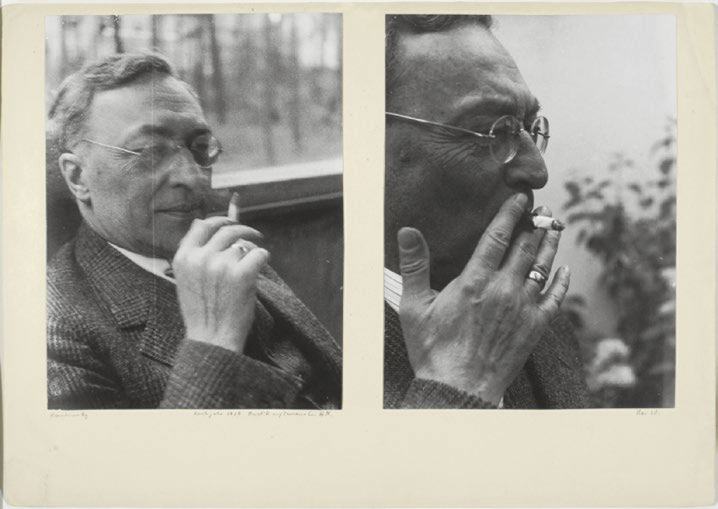 “Josef Albers: An Open Mind for the Newer and Nearer,” from One and One Is Four: The Bauhaus Photocollages of Josef Albers, Museum of Modern Art, New York, 2016, pp. 13-14. “Nowhere does Albers change the rules of the game more profoundly than in his collages that feature a multitude of photographs. 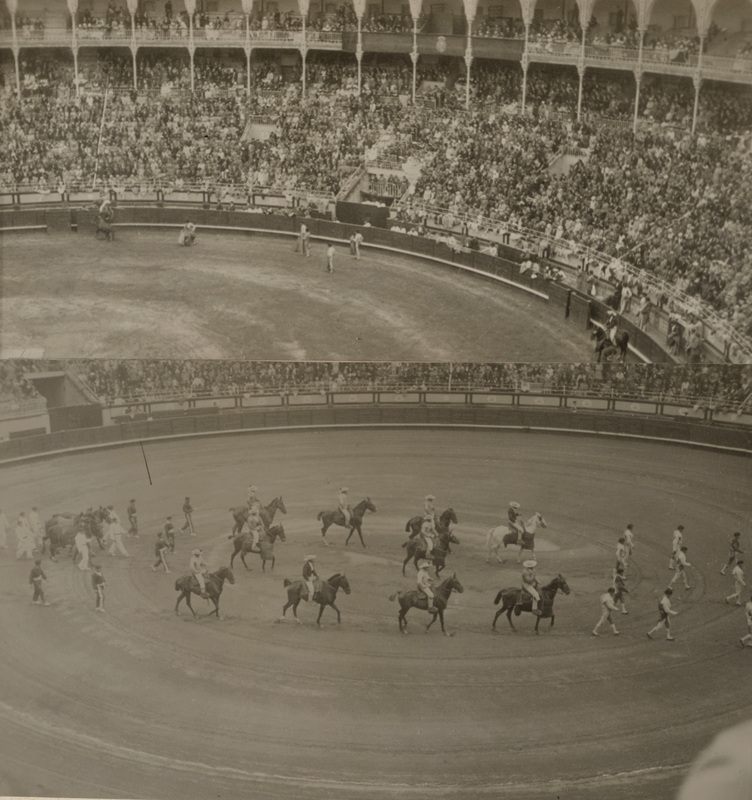 His collage of a bullfight in San Sebastian can be read as a short story or experimental film, where we as viewers recognise that we are being transported to a distant time and place, no less enchanting for its impossibility. Sarah Hermanson Meister. “Josef Albers: An Open Mind for the Newer and Nearer,” from One and One Is Four: The Bauhaus Photocollages of Josef Albers, Museum of Modern Art, New York, 2016, pp. 14-15. Sarah Hermanson Meister. “Josef Albers: An Open Mind for the Newer and Nearer,” from One and One Is Four: The Bauhaus Photocollages of Josef Albers, Museum of Modern Art, New York, 2016, p. 14. “Josef Albers (American, born Germany, 1888-1976) is a central figure in 20th-century art, both as a practitioner and as a teacher at the Bauhaus, Black Mountain College, and Yale University. Best known for his iconic series Homages to the Square, Albers made paintings, drawings, and prints and designed furniture and typography. The least familiar aspect of his extraordinary career is his inventive engagement with photography, which was only discovered after his death. 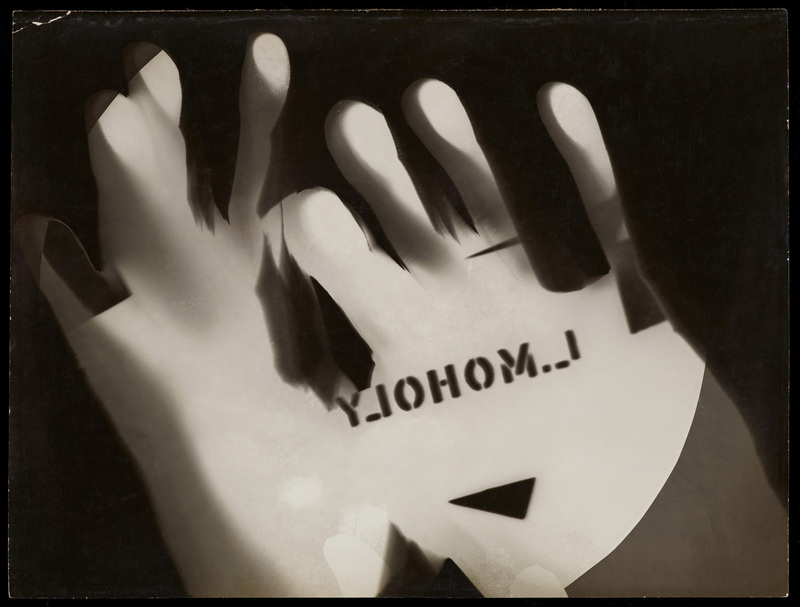 The highlight of this work is undoubtedly the photocollages featuring photographs he made at the Bauhaus between 1928 and 1932. At once expansive and restrained, this remarkable body of work anticipates concerns that Albers would pursue throughout his career: seriality, perception, and the relationship between handcraft and mechanical production. The first serious exploration of Albers’s photographic practice occurred in a modest exhibition at MoMA in 1988, The Photographs of Josef Albers. 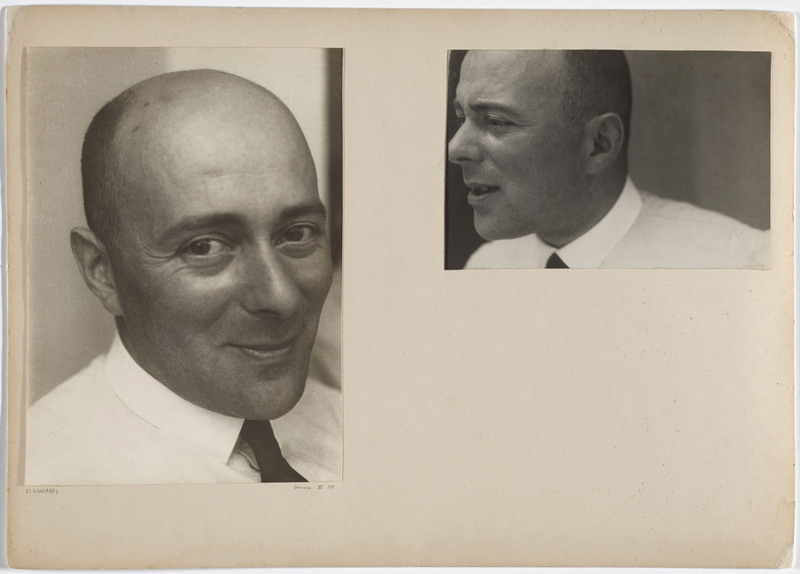 In 2015, the Museum acquired 10 photocollages by Albers – adding to the two donated by the Josef and Anni Albers Foundation almost three decades ago – making its collection the most significant anywhere outside the Foundation. This installation celebrates both this landmark acquisition and the publication of One and One Is Four: The Bauhaus Photocollages of Josef Albers, which focuses exclusively on this deeply personal and inventive aspect of Albers’s work and makes many of these photocollages available for the first time. 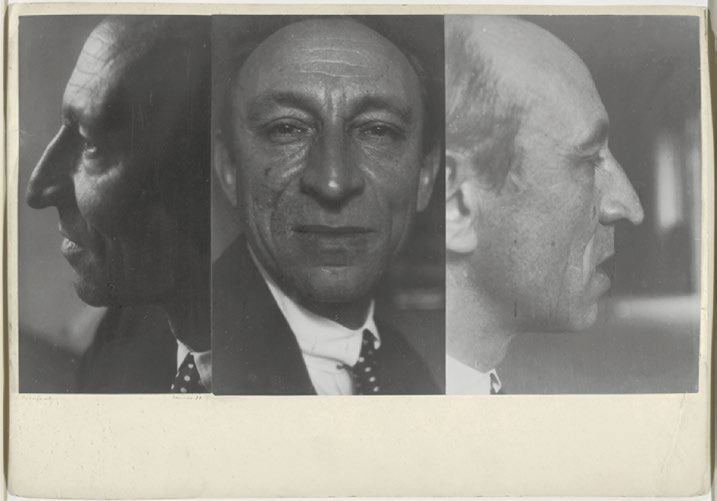 The Museum of Modern Art announces the release of One and One Is Four: The Bauhaus Photocollages of Josef Albers, the first publication to reproduce all 70 photocollages created by Josef Albers at the Bauhaus using photographs he made between 1928 and 1932. Hailed in his own lifetime as among the most important figures of 20th-century art, both as a practitioner and as a teacher at the Bauhaus, Black Mountain College, and Yale University, Albers (1888-1976) achieved widespread acclaim across a range of mediums, from glassworks and furniture design to printmaking and painting. 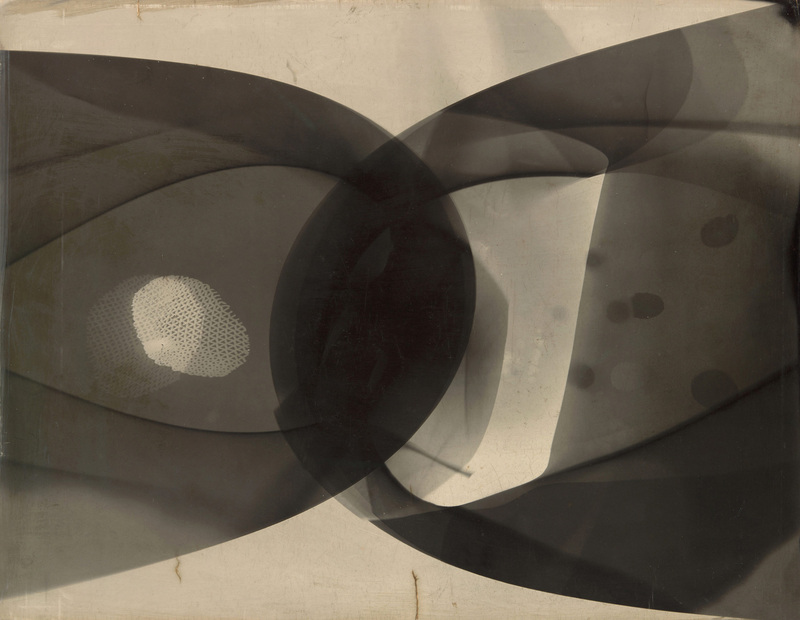 Yet Albers’s engagement with modernist photography remained largely hidden until after his death, and it is only now that the entire series of unique photocollages the artist produced at the famed art school – before he and his wife fled Nazi Germany for the US – has been published together, many for the first time. At once expansive and restrained, this remarkable body of work anticipates concerns that Albers would pursue throughout his career: seriality, perception, and the relationship between handcraft and mechanical production. 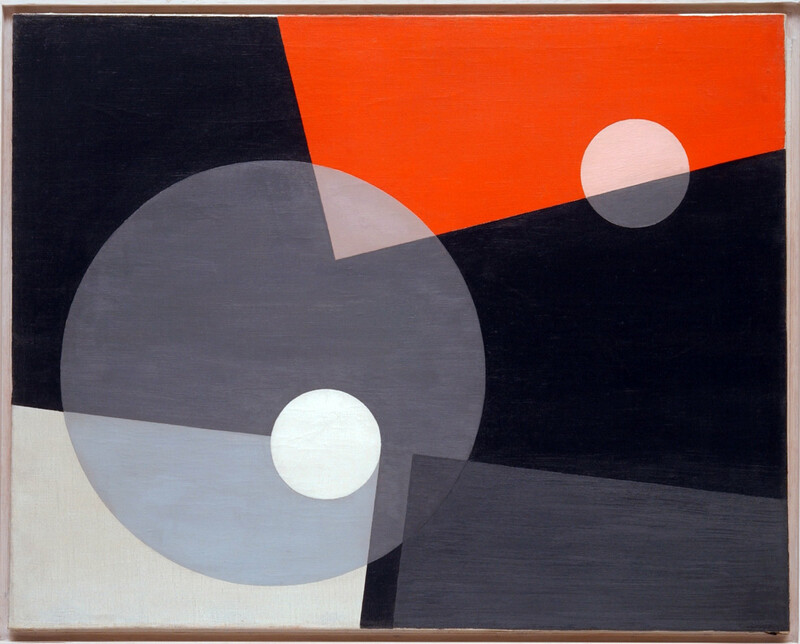 One and One Is Four reveals an Albers at once familiar and unexpected – playful yet disciplined, personal yet enigmatic – through a body of work whose genius becomes fully apparent when considered as a whole. 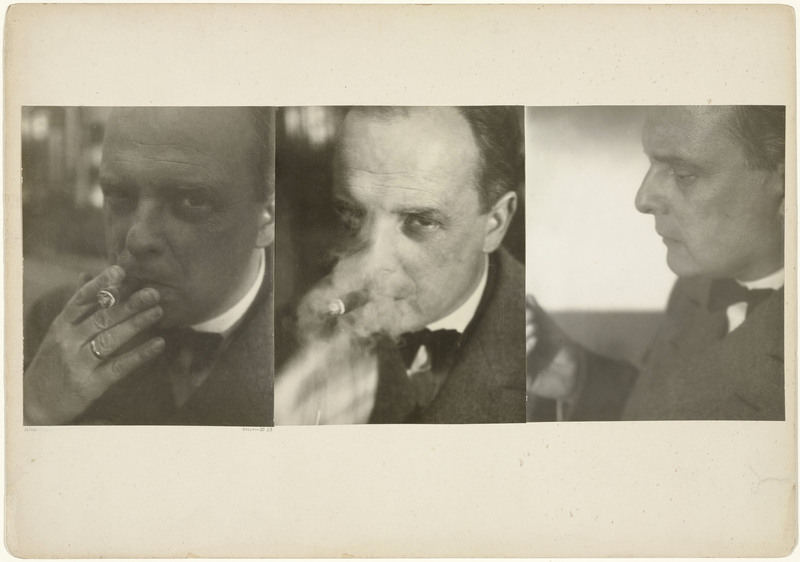 “Albers’s photocollages stand as remarkable contributions to the medium in their own right,” explains Sarah Hermanson Meister, Curator in the Department of Photography and the author of the book, “while they anticipate in important ways key concerns that would animate the artist’s work throughout his career, including his iconic Homages to the Square.” An essay by art historian and Bauhaus scholar Elizabeth Otto underscores the originality of Albers’s achievement through a survey of photocollages by Albers’s fellow Bauhäusler, and a contribution by MoMA conservator Lee Ann Daffner examines the artist’s materials to suggest new insights into these works, the discovery of which has been celebrated as one of the great art finds of the past century. 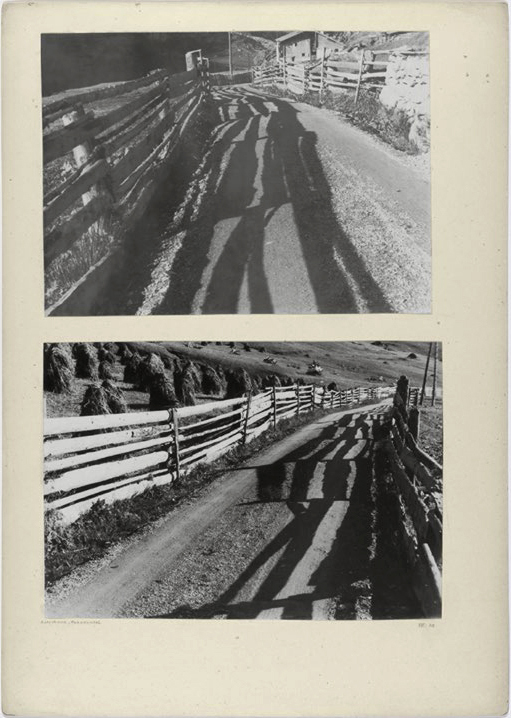 The publication also includes a transcription of a lecture delivered by Albers at Black Mountain College in February 1943 titled “Photos as Photography and Photos as Art” – Albers’s sole public statement about the medium – and a preface by Nicholas Fox Weber, Executive Director of The Josef and Anni Albers Foundation. One of the purposes of this blog is to bring relatively unknown artists into the spotlight. 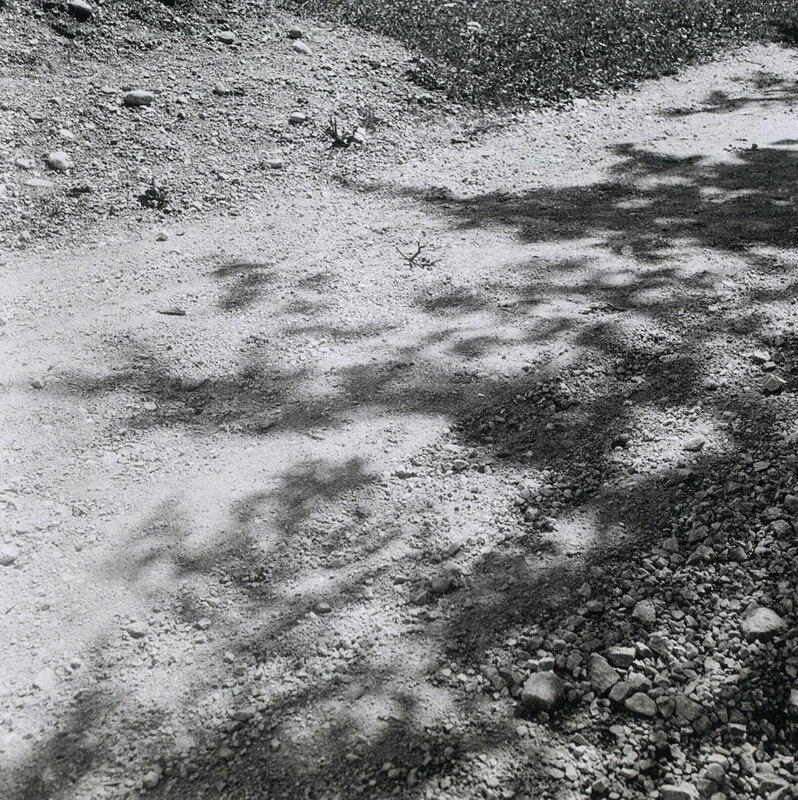 Eva Besnyö is one such artist. 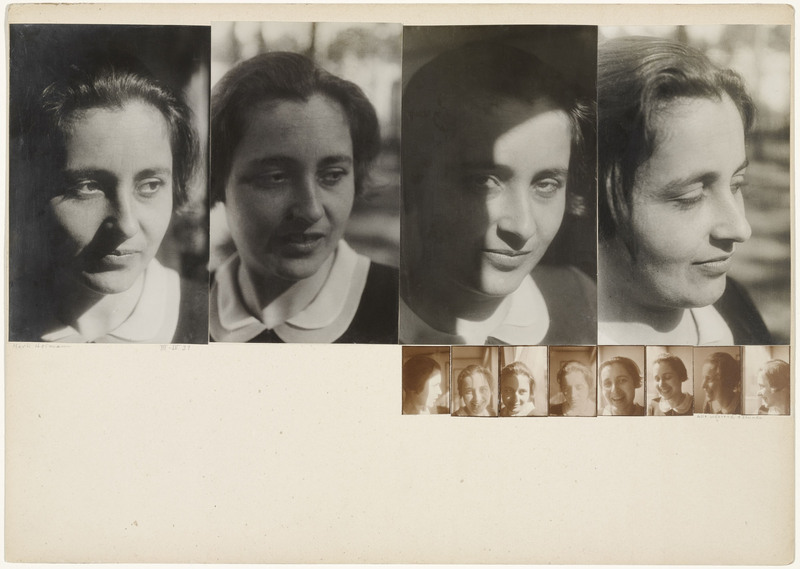 Leaving the repressive atmosphere of Hungary in 1930, Besnyö joined László Moholy-Nagy, Martin Munkácsi, György Kepes and Endre Friedmann (Robert Capa) in Berlin before, sensing the danger of National Socialism, she moved to the Netherlands in 1932. After the invasion of the Netherlands by Nazi Germany in 1940 Besnyö survived four long years in hiding before obtaining false papers in 1944 that allowed her to emerge into the open. She was Jewish. Continuing the conversation from my recent review of the work of Pat Brassington (where I noted that curators and collectors alike try to pigeon hole artists into one particular style, mainly so that they can compartmentalise and order the work that they produce: such and such produces this kind of work – and that the work produced in this style is not necessarily their best), Besnyö can be seen to be a transmogrifying artist, one that experimented and investigated the same themes through different subject matter – hence no signature body of work. One of my friends observed that this kind of art making could be mistaken for a strange form of nihilism (in which nothing in the world has a real existence). It could be argued that the artist keeps changing subject matter, just dabbling really, pleasing herself with the images that she took, without committing to a particular style. Without seeing the 120 vintage prints it is hard to make a judgement. Besnyö changes the collection of objects to which the eye is directed as she also changes the distance and feeling of the objects upon which the eye rests. Notice how in most of the photographs the human subjects all have their back to the camera or are looking away from the instrument of objectification (or looking down into it). Even in the two self portraits Besnyö – formal in one with bobbed hair and skirt, wild in the other with a shock of tousled hair – she avoids the gaze of the camera. Like most of her subjects she remains hard to pin down. What Besnyö does so well (and why she isn’t just pleasing herself) is to construct a mythology of the city, a mythology of life which resonates through the ages. She creates a visual acoustics (if you like), a vibration of being that is commensurate with an understanding of the vulnerability of existence. 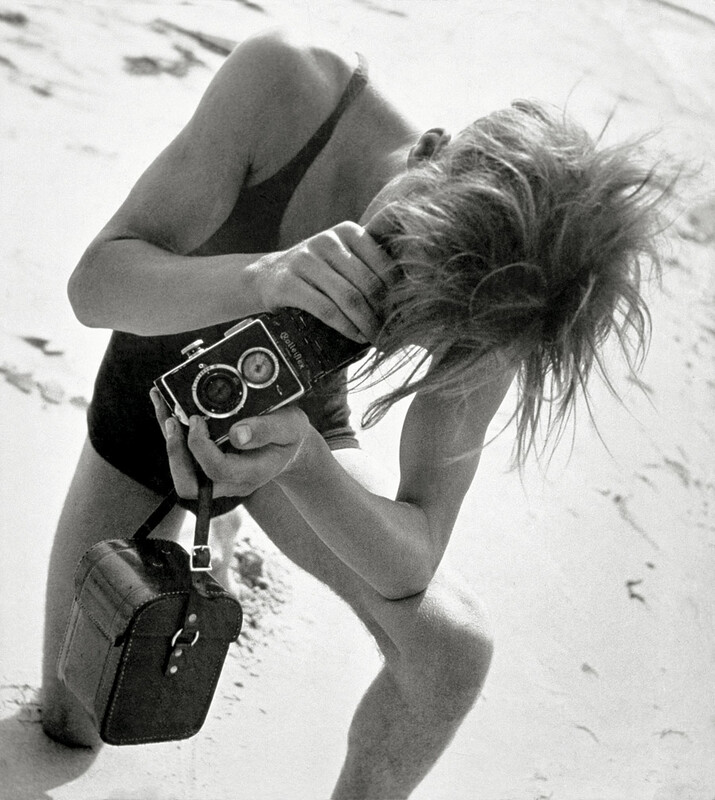 Eva Besnyö (1910–2003) is one of those women who found in photography not just a profession but also a form of liberation, and of those cosmopolitan avant-garde artists who chose Europe as their playing field for both play and work. 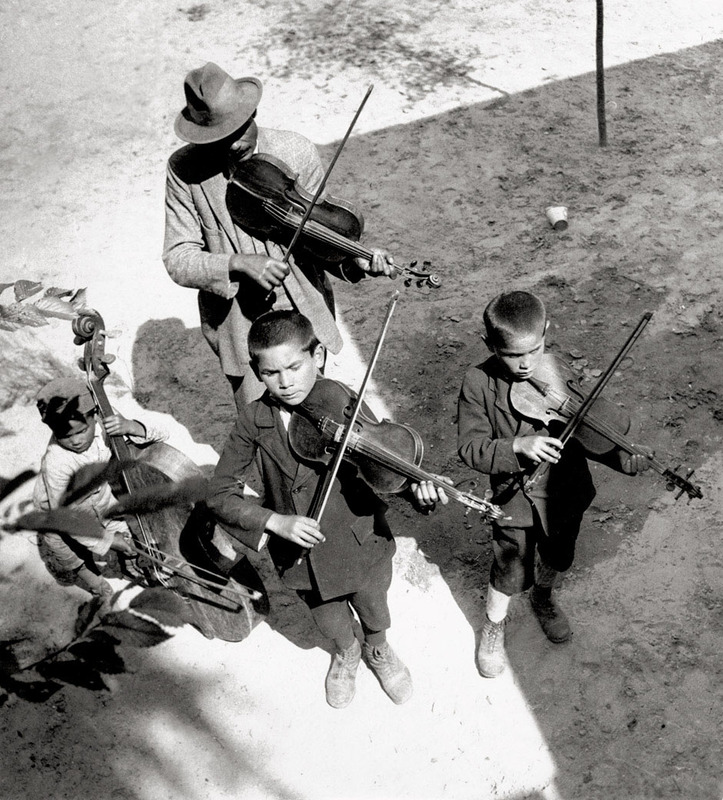 Immediately after her photographic training in the studio of József Pécsi in Budapest, Eva Besnyö left the repressive, antiprogressive environment of her native Hungary for ever. 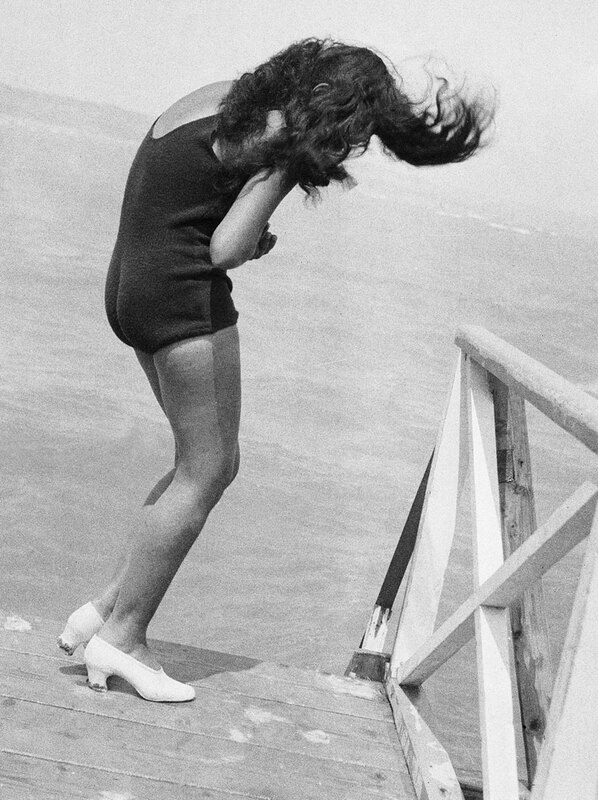 Then aged 20, she decided, like her compatriots László Moholy-Nagy, Martin Munkácsi, György Kepes and Endre Friedmann (Robert Capa), to go to Berlin. As soon as she arrived in autumn 1930, she discovered there a dynamic photographic scene, open to experimentation and placed under the double sign of the New Vision and the New Objectivity, whose modern language would allow her to develop her personal style. 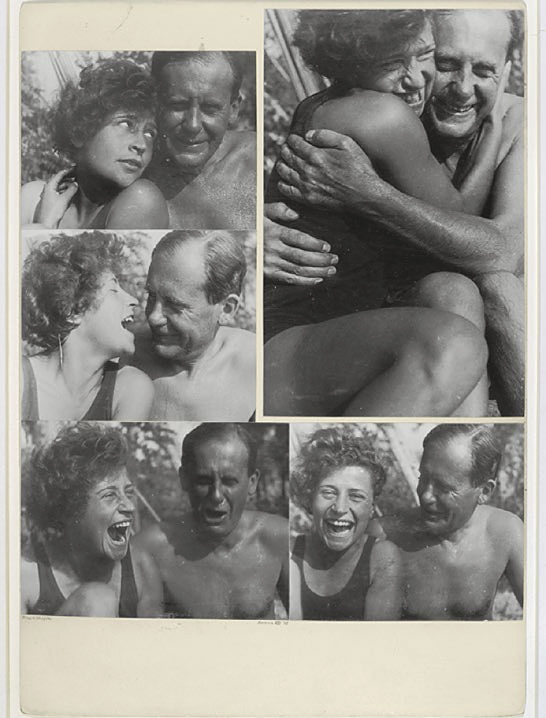 Of Jewish origins, Eva Besnyö, who foresaw the threat of National Socialism, moved to the Netherlands in 1932 where she met again her companion the film director John Fernhout. There she was welcomed into the circle of international artists around the painter Charley Toorop, and rapidly became known in Amsterdam, where she had her own photographic studio. 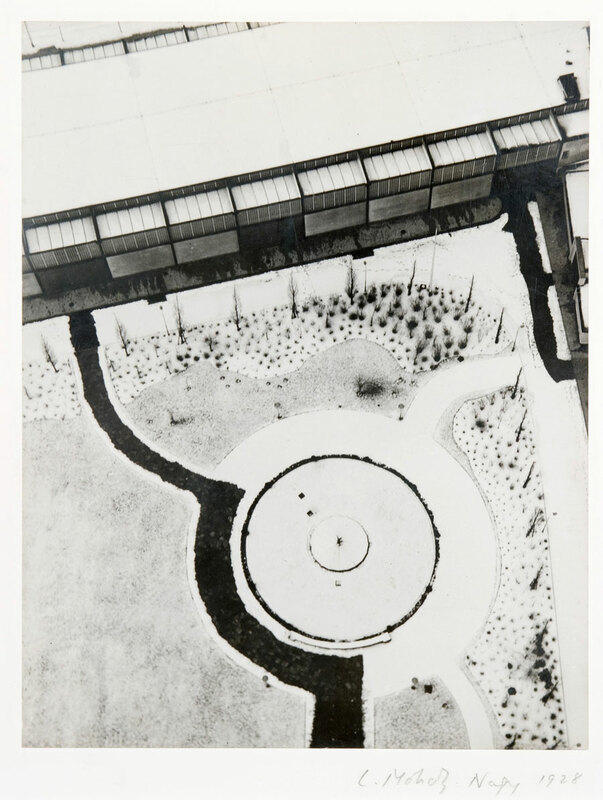 A solo exhibition at the Kunstzaal van Lier in 1933 gained the attention notably of the Dutch followers of the “Neues Bauen” (New Building), whose architecture she recorded, in a highly personal manner, over a long period. The invasion of the Netherlands by Nazi Germany in 1940 marked a dramatic turning point in Eva Besnyö’s life. If she managed to come out of hiding in 1944, thanks to an invented genealogy, the traces of this experience would remain acute throughout the postwar decades. During the 1950s and 60s, her family life led her to abandon street photography for commissions. Finally, in the twilight of her career, the photographer militated in the Dolle Mina feminist movement, whose street actions she chronicled in the 1970s. With more than 120 vintage prints, some modern prints and numerous documents, this first French retrospective devoted to Eva Besnyö aims to show the public the different facets of her work, which is situated between New Vision, New Objectivity and social documentary, at the crossroads between poetry and political activism. 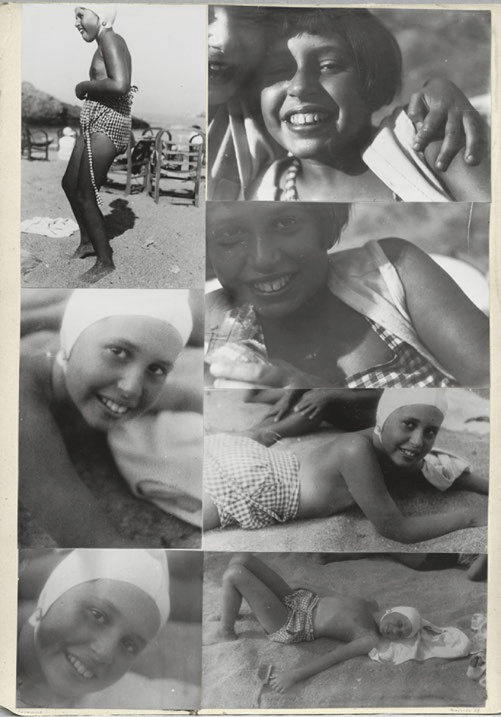 In 1929, during her second year of apprenticeship to József Pécsi, portrait and advertising photograper in Budapest, Eva Besnyö received the book of photographs Die Welt ist schön (The World is Beautiful), published a few months earlier in Munich. 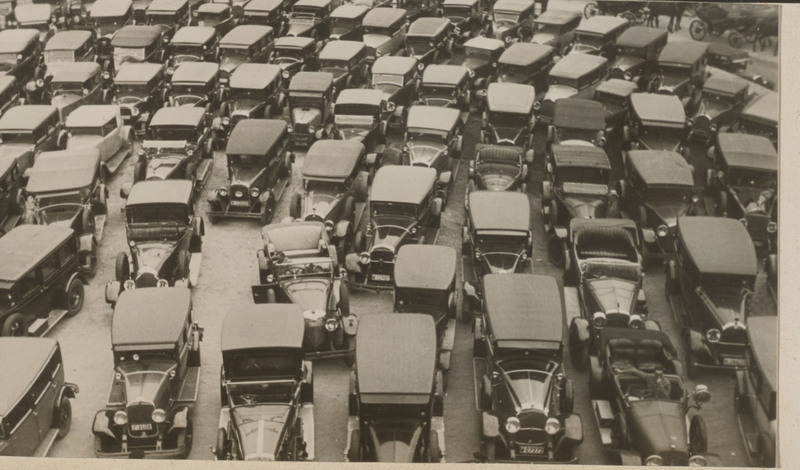 Its author, Albert Renger-Patzsch, is the precursor of New Objectivity in photography. While pictorialism reigned in Hungary, Eva Besnyö discovered the world with other eyes: from up close and under unexpected angles. With these new models in mind and her Rolleiflex in hand, she strode along the banks of the Danube in search of subjects and daring viewpoints, showing concern for a precise, close-up description of the most diverse objects, as well as a taste for fragmentation and for the repetition of the motif in the frame. 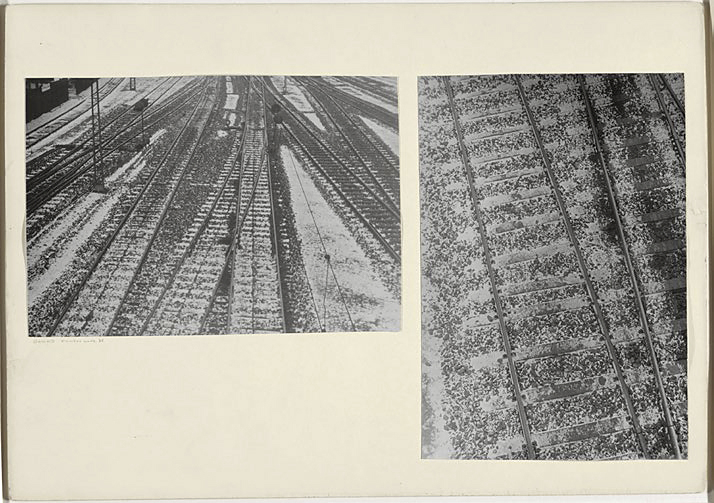 As soon as she finished her studies, Eva Besnyö went to Berlin on the advice of the painter and photographer György Kepes – and against the wishes of her father who would have preferred that she chose Paris. The Berlin years, between 1930 and 1932, were for her those of a political and aesthetic awakening. 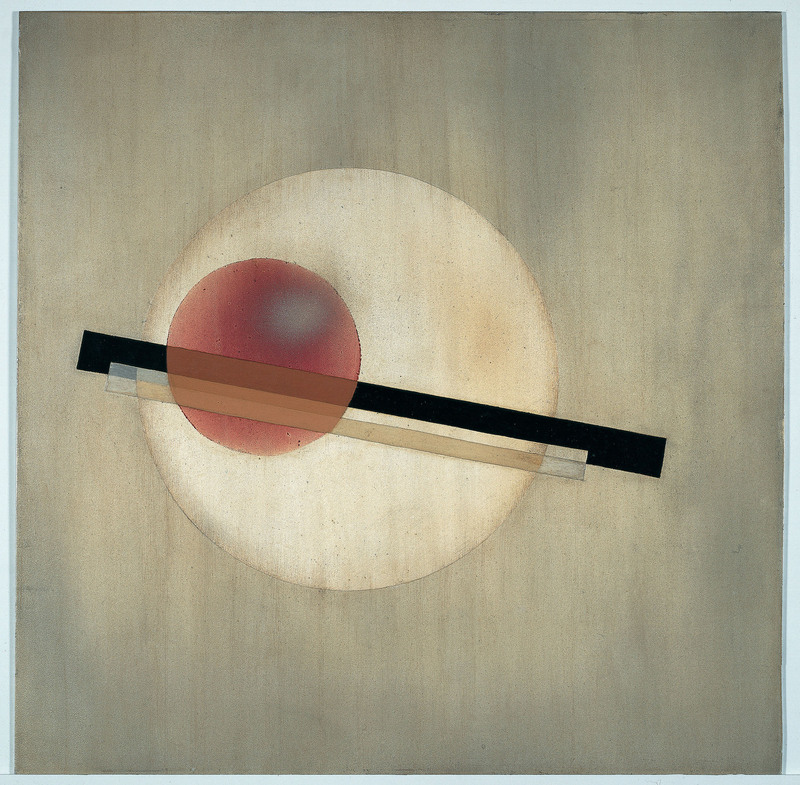 Besides the influence of the revolutionary aesthetic of Russian cinema, she came under that of the New Vision, which took off with László Moholy-Nagy and his book Painting Photography Film (1925), using a whole stylistic grammar, advocating downward perspectives or low-angle shots, a taste for the isolated object and its repetition, as well as optical manipulations revealing an unknown, but very real, world. 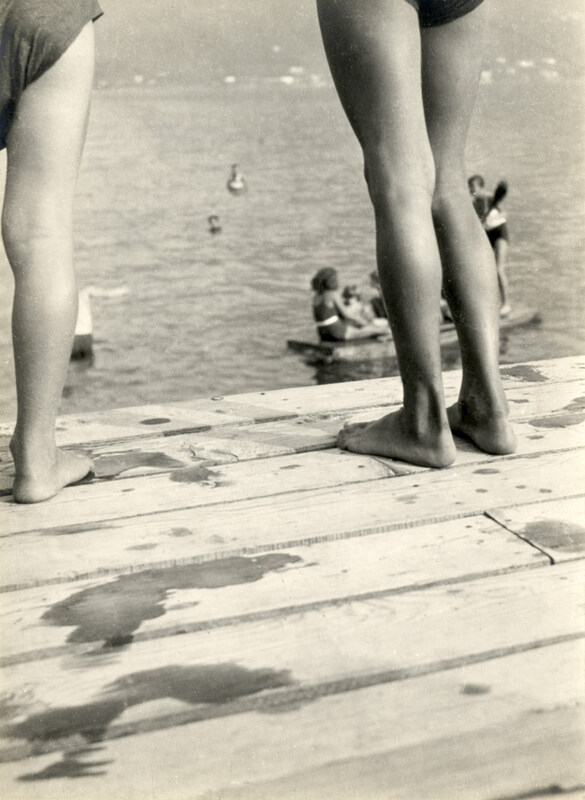 The activity of the town or the empty crossroads of Starnberger Straße, portraits and images of summer on the banks of Lake Wannsee count among Besnyö’s most successful compositions. At the Marxist Workers’ School in Berlin, Eva Besnyö schooled her social and political conscience. In her circle of friends gathered around fellow Hungarian György Kepes, she discussed passionately the role of the workers’ movements. 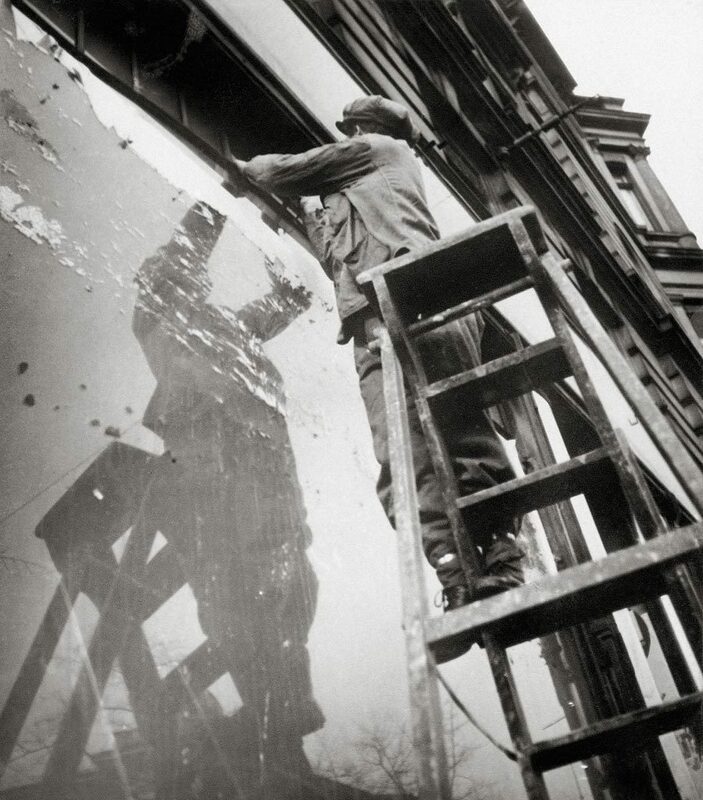 In Berlin, as earlier in Budapest, Eva Besnyö took her camera to the principal sites of trade and business, where she photographed labourers hard at work: dockers on the Spree, coalmen in the street, fitters perched on ladders; in the city centre, she followed the workers at Alexanderplatz, in around 1930 the largest construction site in Europe. In Hungary, where she returned from time to time from Berlin, she carried out an extraordinary documentary project on the people of Kiserdö, in the suburbs of Budapest. Blessed with a heightened political awareness, she had already understood by 1932 that, as a Jew, her future was not in this country, and left Berlin for Amsterdam. 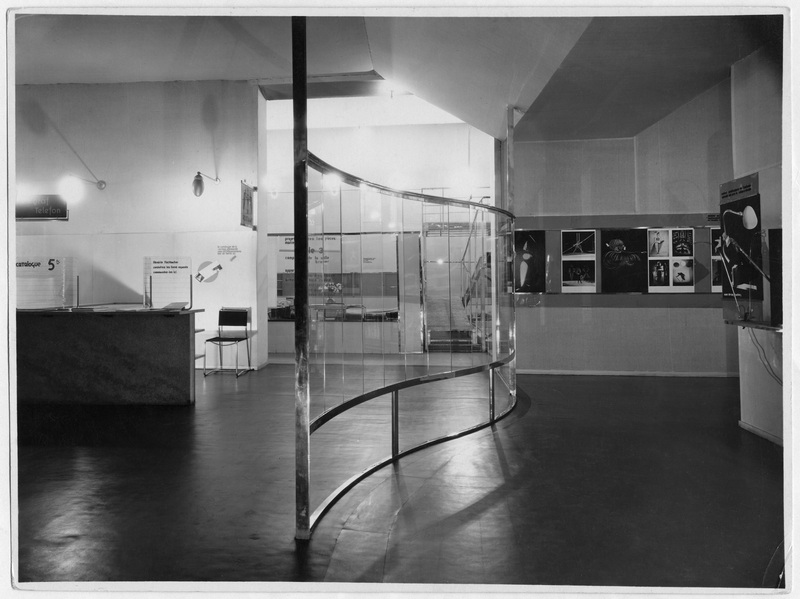 In 1933, the solo show devoted by the Kunstzaal van Lier to Eva Besnyö just one year after her arrival in Amsterdam aroused the enthusiasm of numerous architects – her principal clients in the years to come. Mostly members of the group de 8 in Amsterdam and the radical abstract collective Opbouw in Rotterdam, they discerned in her images, which emphasised the functional side of objects, their structure and their texture, a suitable approach for explaining their buildings. Equipped with a Linhof 9 x 12 cm plate camera acquired especially for the purpose, Eva Besnyö went to building sites and photographed public and private buildings, notably the studios of the Dutch radio station AVRO at Hilversum, the Cineac cinema in Amsterdam and a summer house in Groet, in the north of the country. 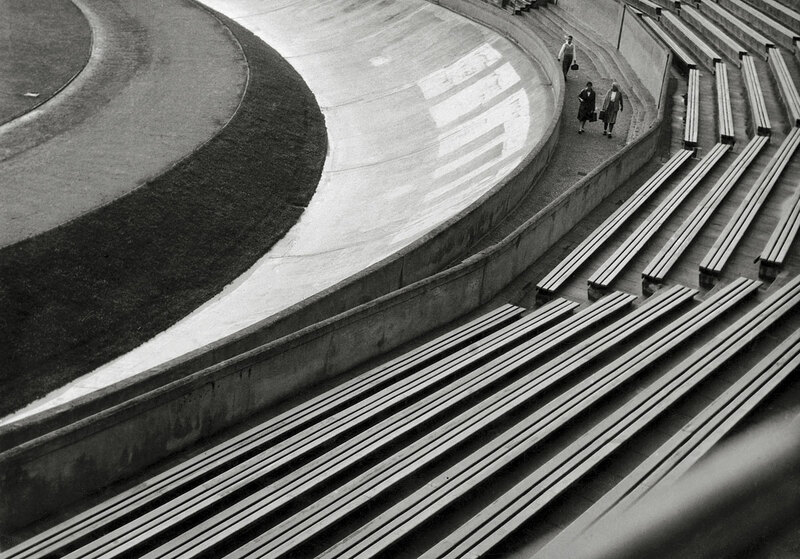 Become, in the 1930s, the preferred photographer of Dutch New Building, Eva Besnyö made most of her income at the time from architectural photography. From Amsterdam, where from 1935 to 1939 she shared a studio at Keizersgracht 522 with the photographer Carel Blazer and the architect Alexander Bodon, Eva Besnyö went regularly to Bergen and Westkapelle, two villages where many artists gathered. 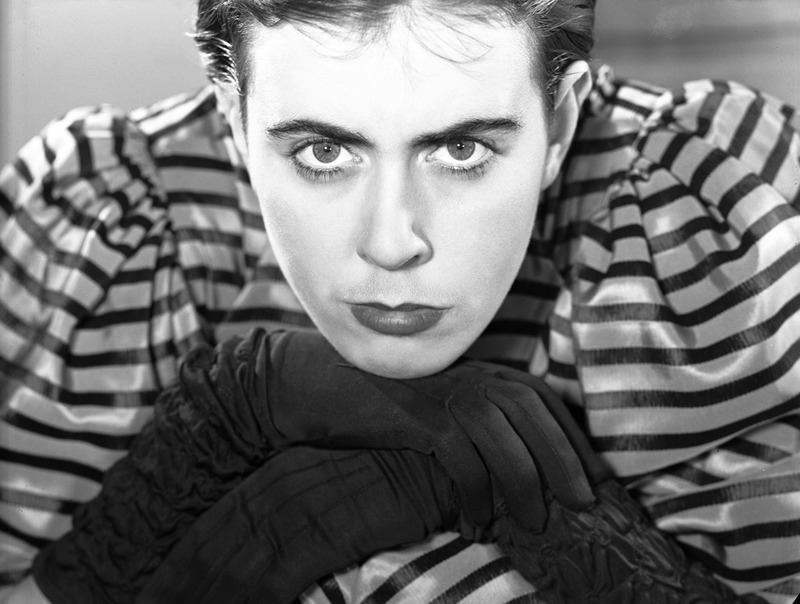 In Bergen, north of Amsterdam, Charley Toorop, Expressionist painter and mother of the film director John Fernhout, whom Eva had married in 1933, held an artistic salon in the De Vlerken studio. It was at Westkapelle, a centuries-old village built on a polder in Zealand, that the family often spent their holidays. In this landscape shaped by the natural elements, Eva Besnyö returned to a free photographic practice, with views of vast beaches of white sand, of black silhouettes against a background of old windmills and cut-out shadows. In July 1940, Eva Besnyö photographed the old town of Rotterdam destroyed by German airforce bombing. Far from classic photo-journalism, these images of ruins and traces of devastation – from which, in retrospect, she distanced herself – are today silent, bare statements of the wounds and scars of history. The Dolle Mina feminist movement gathered both men and women, mainly from the student protest movement. 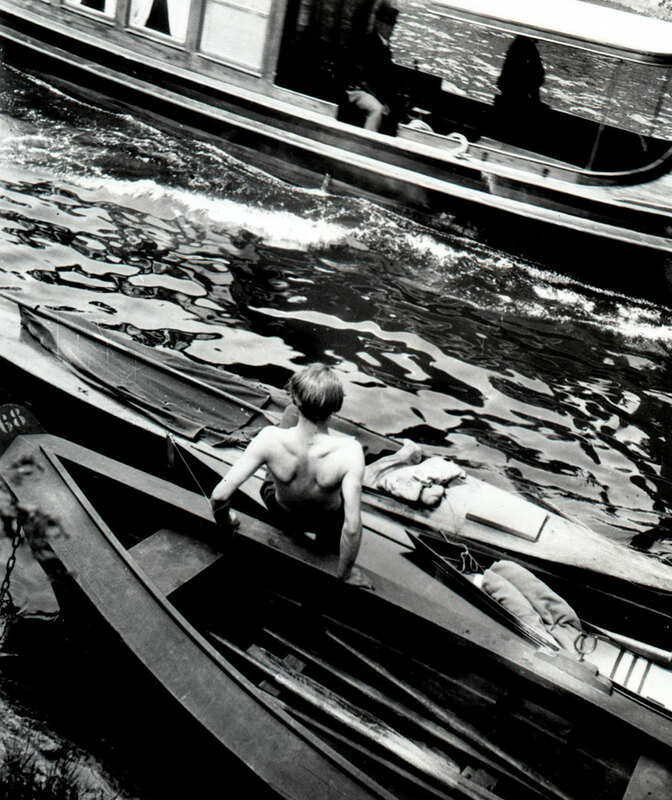 In the 1970s, Eva Besnyö militated actively within it, alongside sympathisers of all ages. In a second phase, she focused on photographic documentation of the movement’s actions and activities, taking responsibility for sending out images daily, like a press agency. 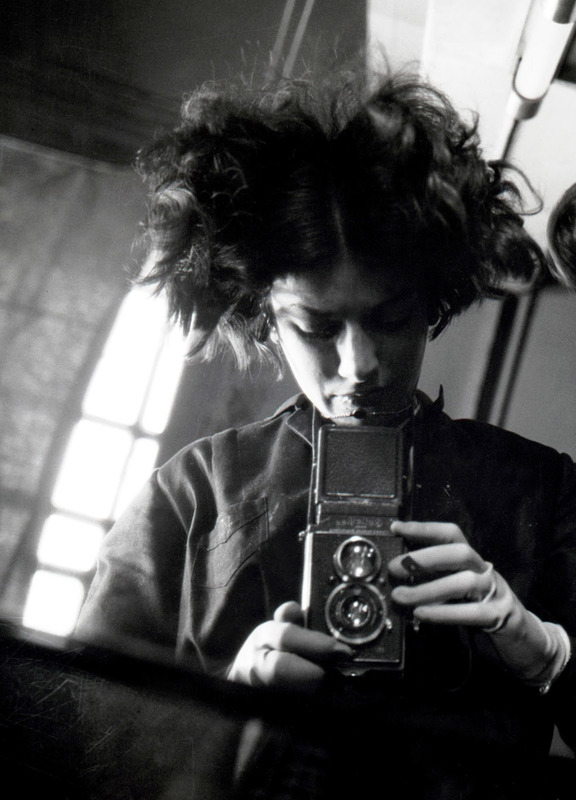 “In 1930, when Eva Besnyö arrived in Berlin at the age of only twenty, a certificate of successful apprenticeship from a recognised Budapest photographic studio in her bag, she had made two momentous decisions already: to turn photography into her profession and to put fascist Hungary behind her forever. 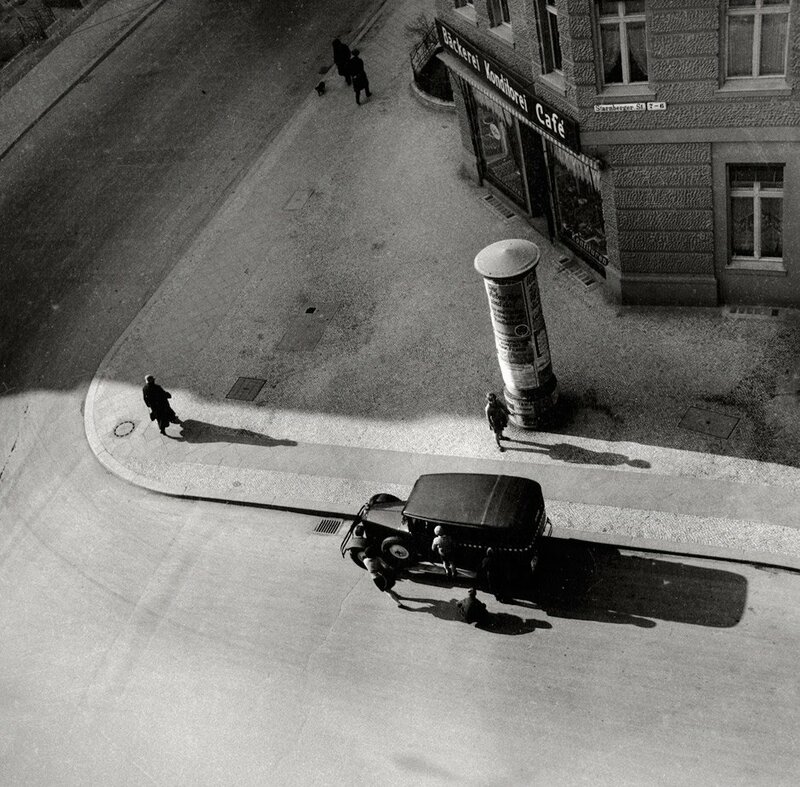 Like her Hungarian colleagues Moholy-Nagy, Kepes and Munkacsi and – a little later – Capa, Besnyö experienced Berlin as a metropolis of deeply satisfying artistic experimentation and democratic ways of life. 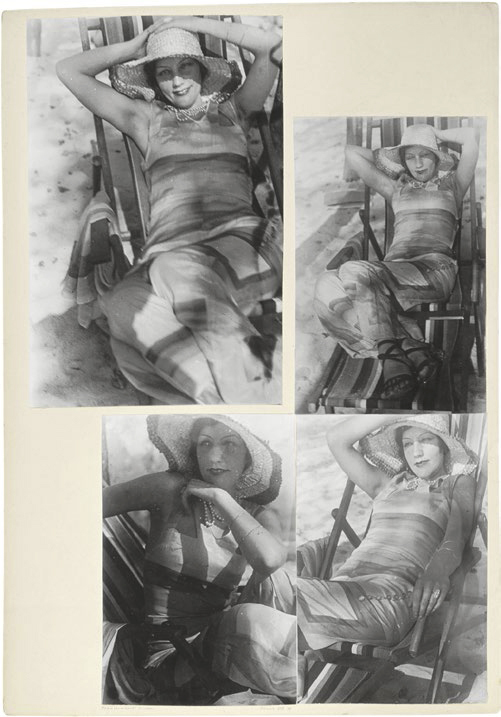 She had found work with the press photographer Dr. Peter Weller and roamed the city with her camera during the day, searching for motifs on construction sites, by Lake Wannsee, at the zoo or in the sports stadiums, and her photographs were published – albeit, as was customary at the time, under the name of the studio. 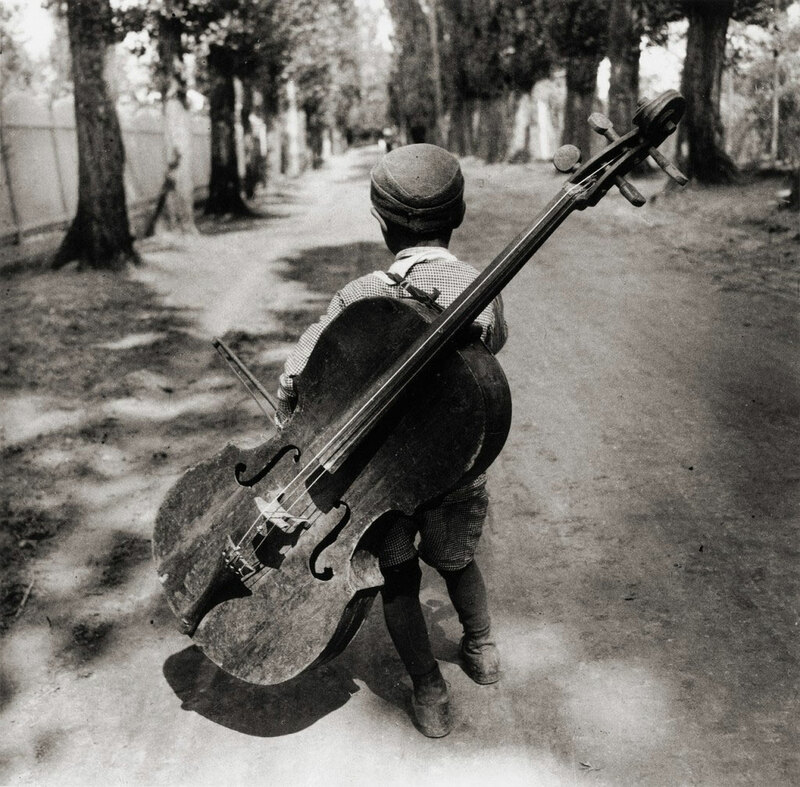 Besnyö’s best-known photo originates from those years: the gypsy boy with a cello on his back – an image of the homeless tramp that has become familiar all over the world. Eva Besnyö had a keen political sense, evidenced by the fact that she fled in good time from anti-Semitic, National Socialist persecution, leaving Berlin for Amsterdam in autumn 1932. 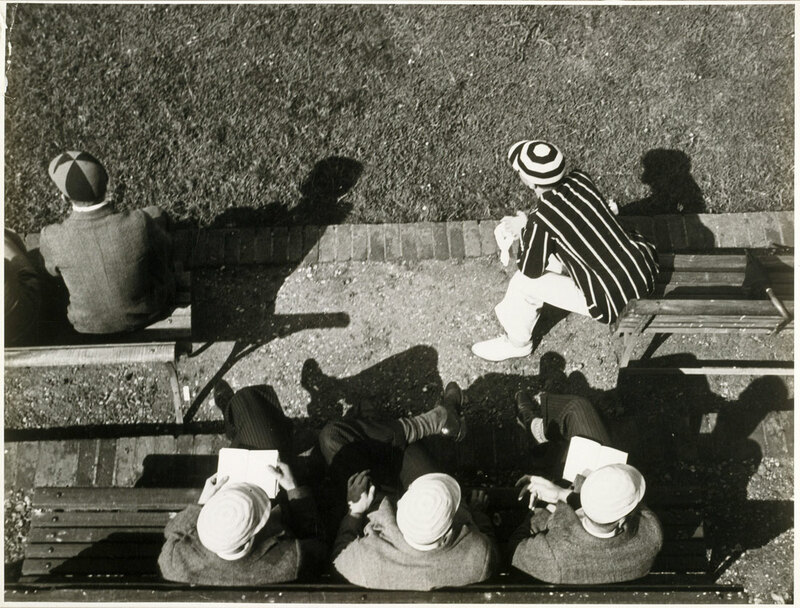 Supported by the circle surrounding woman painter Charley Toorop, filmmaker Joris Ivens and designer Gerrit Rietveld, Besnyö – meanwhile married to cameraman John Fernhout – soon enjoyed public recognition as a photographer. An individual exhibition in the internationally respected Van Lier art gallery in 1933 made her reputation in the Netherlands practically overnight. 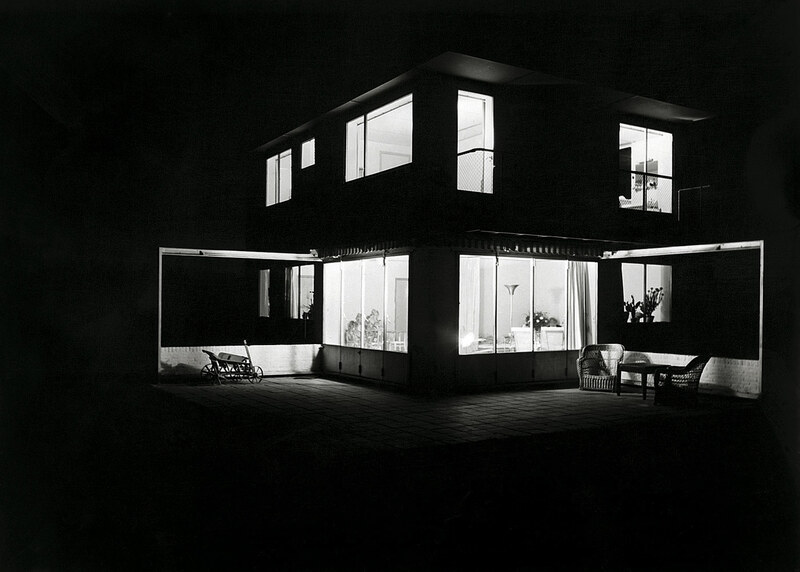 Besnyö experienced a further breakthrough with her architectural photography only a few years later: translating the idea of functionalist “New Building” into a “New Seeing.” In the second half of the 30s, Besnyö demonstrated an intense commitment to cultural politics, eg. at the anti-Olympiad exhibition “D-O-O-D” (De Olympiade onder Diktatuur) in 1936; in the following year, 1937, she was curator of the international exhibition “foto ’37” in the Stedelijk Museum Amsterdam. 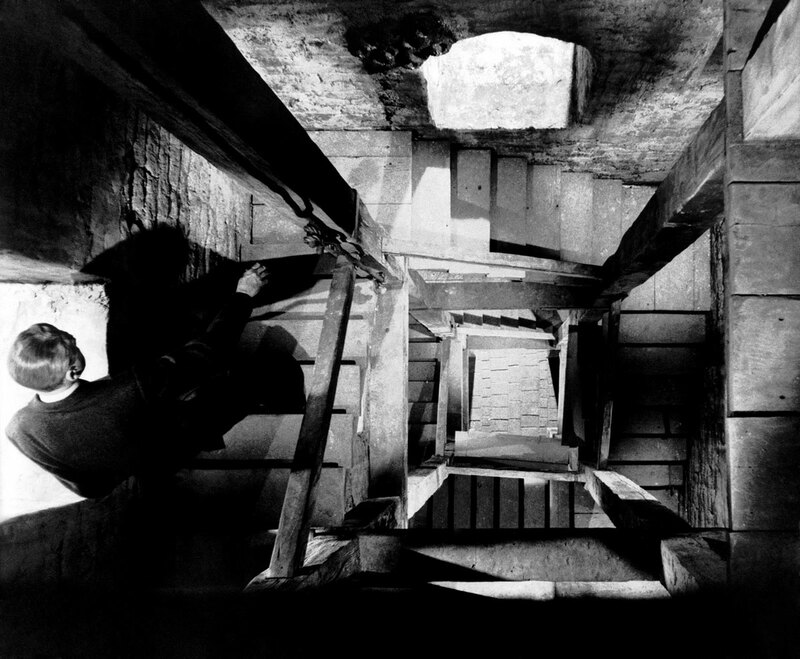 The invasion of German troops in May 1940 meant that as a Jew, Eva Besnyö was compelled to go into hiding underground. She was attracted to a world view shaped by humanism in the post-war years, and her photographs became stylistically decisive for neo-Realism and immensely suitable for the moralising exhibition, the “Family of Man” (1955). The mother of two children, she had experienced the classic female conflict between bringing up children and a profession career as a crucial and very personal test. Consequentially, Besnyö became an activist in the Dutch women’s movement “Dolle Mina” during the 70s, making a public commitment to equal rights and documenting demonstrations and street protests on camera. My apologies for the paucity of reviews of local exhibitions on the blog recently. It’s not that I haven’t been going to exhibitions far from it, just that nothing has really struck me as worthy of an in depth review! Recently I went to the new Monash University Gallery of Art (MUMA) and the opening exhibition of the gallery, CHANGE (until 18th December). This is a hotchpotch of an exhibition that showcases the “breadth and depth of the Monash University Collection, reflecting on the changing forms, circumstances and developments in contemporary art practice from the 1960s to the present day – from late modernism to our contemporary situation … the exhibition signals the potential for institutional change that MUMA’s new situation represents.” Avowing an appeal to the senses the exhibition has some interesting works, notably a large canvas by Howard Arkley, ‘Family home – suburban exterior 1993’, Daniel von Sturmer’s installation ‘The Field Equation’ (2006), Mike Parr’s bloody, mesmeric performance ‘Close the Concentration Camps’ (2002) that you just can’t take your eyes off and part of Tracey Moffatt’s haunting series ‘Up In The Sky’ (1998), the “part” declamation leaving one unable to decipher the narrative of the work without seeing the whole series on the Roslyn Oxley9 website. This is symptomatic of the whole exhibition – somehow it doesn’t come together, one of the problems of large, unthematically organised group exhibitions. The spaces of the new gallery are interesting to wander through but seem a little pokey and confined. A series of smallish intersecting rooms to the left hand side of the gallery leads one around to a big gallery to the right hand side (the best space), before another small front room. Down the spine runs a narrow enclosed area with exposed trusses and ducts that is unimaginative in design and redundant as an exhibiting space. Overall the gallery feels claustrophobic being an almost hermetically sealed environment enclosed by several sliding glass doors at entry points (and yes, I do know that a gallery has to have regulated temperature, light and humidity). This is at odds with the idea of exhibiting fresh, exciting art that breathes life. I also ventured to Anna Pappas Gallery to see the exhibition of photographic work ‘Endless Days’ by Vin Ryan (until 23rd December). Nice idea but a disappointment. Featuring grided, colour-coded photographs of the physical artefacts used to plate 20 meals eaten by the Ryan family the information within the prints is almost indecipherable, the selection of plates, cups and objects so small as to become mere colour decoration. I struggled to see what the objects actually were; even in the 5 individual prints of a meal the definition of the objects was weak, the printing not up to standard. The moral of the story is this: if you are going to use the photographic medium for artwork make sure that a/ you know how to construct an image visually using the medium and b/ that you get someone who knows what they are doing to print the photographs for you if you can’t print them well yourself. On to better things. 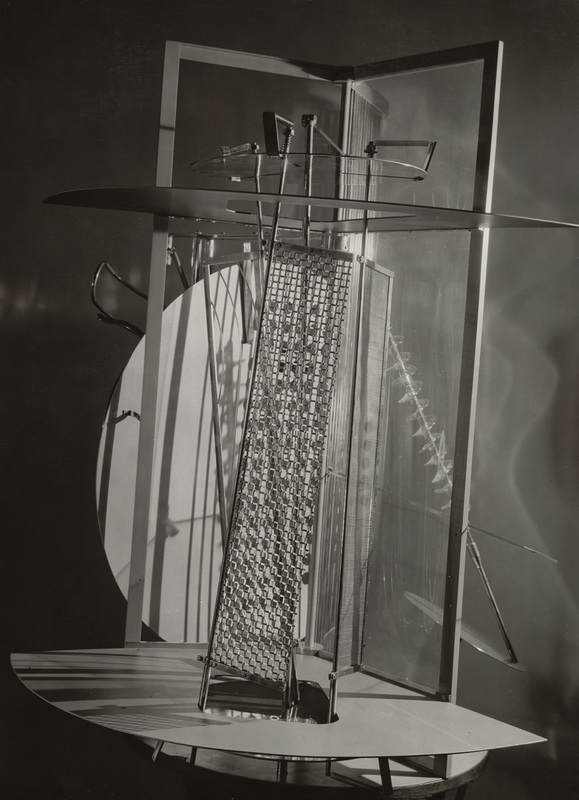 In this posting there are some outstanding photographs: the imaginative camera angles of Moholy-Nagy (heavily influenced by Constructivism and Suprematism) where truly ground-breaking at the time. 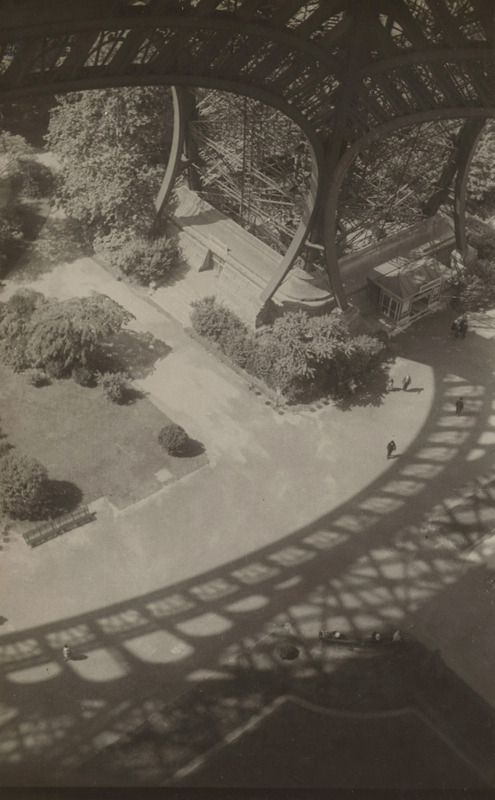 The iconic ‘From the radio tower, Berlin’ (1928) is simply breathtaking in the photographs ability to flatten the pictorial landscape into abstract shape and form. Many thankx to Martin Gropius-Bau, Berlin for allowing me to publish the photographs in the posting. Please click on the photographs for a larger version of the image. 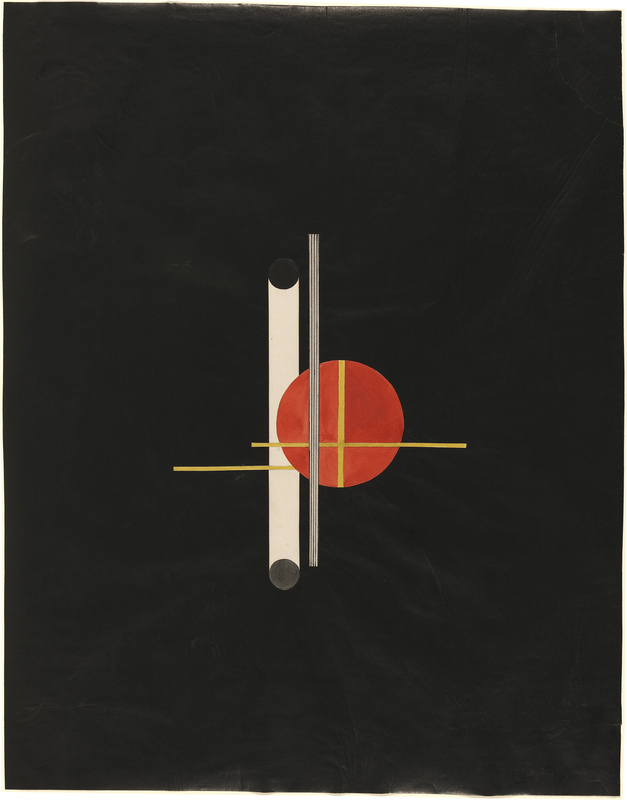 “For Moholy-Nagy was always a theoretician and practitioner in equal measure, always wanting to be a holistic artist. 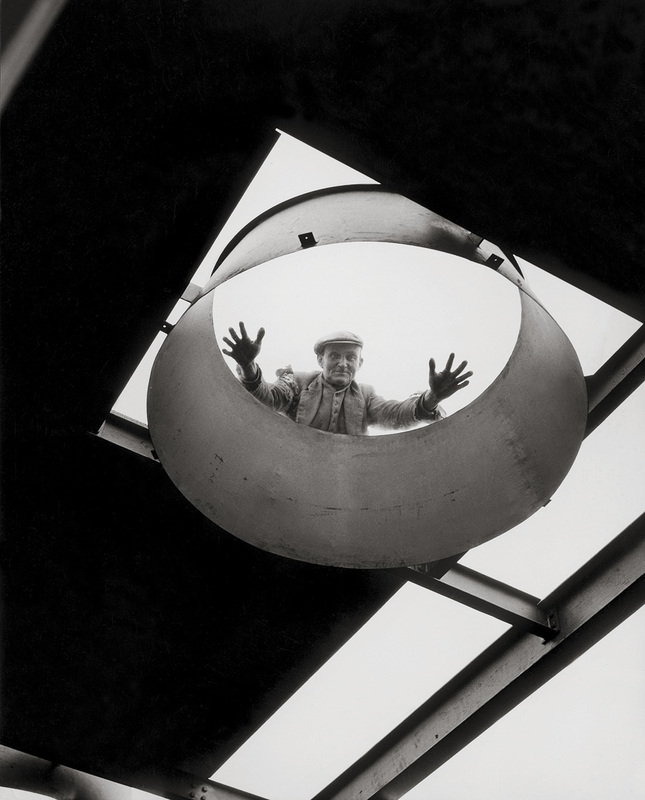 He approached his work – painting, photography, commercial and industrial design, film, sculpture, scenography – from a wide variety of aspects and practised it as a radical, extreme experiment, by refusing to place his hugely differing works in any sort of aesthetic hierarchy. 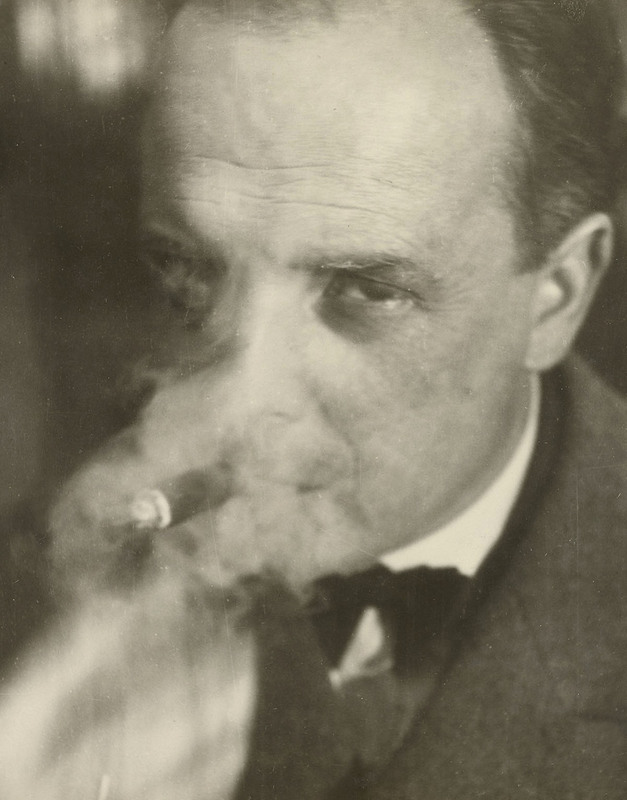 He also attached enormous importance to education, which is why, at the request of Walter Gropius, he worked in this field for the Bauhaus in Weimar (1923–1925) and Dessau (1925–1928). In Chicago, where he settled in 1937, he again assumed teaching duties and founded the “New Bauhaus”, which sought to realise the programmes of the German Bauhaus in the United States. Shortly afterwards he founded the Institute of Design in Chicago, where he was to remain active until his death in 1946. The institute was later incorporated in the Illinois Institute of Technology, which offers study courses to this day. 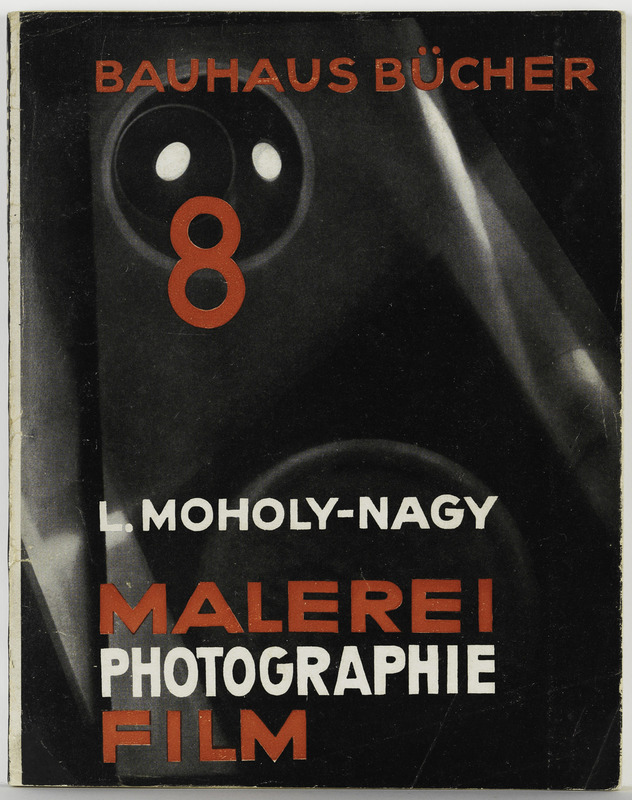 All of Moholy-Nagy’s theoretical contributions arose out of his artistic and pedagogical work. In his numerous writings he gradually presented his ideas, thus developing a complete artistic and pedagogical aesthetic. In his 1925 landmark essay “Painting, Photography, Film” he developed an aesthetic theory of light – light as a matrix of art and art as light. He applied his aesthetic theory of light not only to painting, photography and film, but also to theatrical and commercial design. 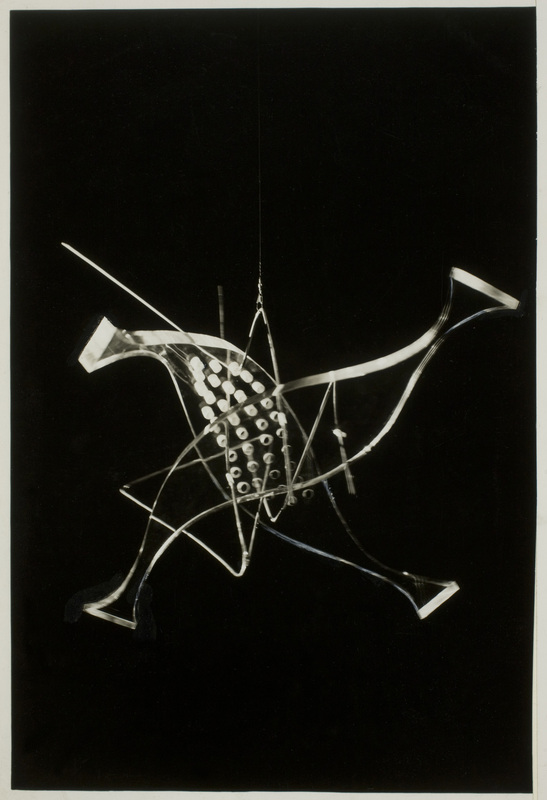 From that point on light became the foundation of Moholy-Nagy’s practical and theoretical work. For him art of whatever kind only acquired meaning when it reflected light. Painting was also reinterpreted on the basis of this criterion. 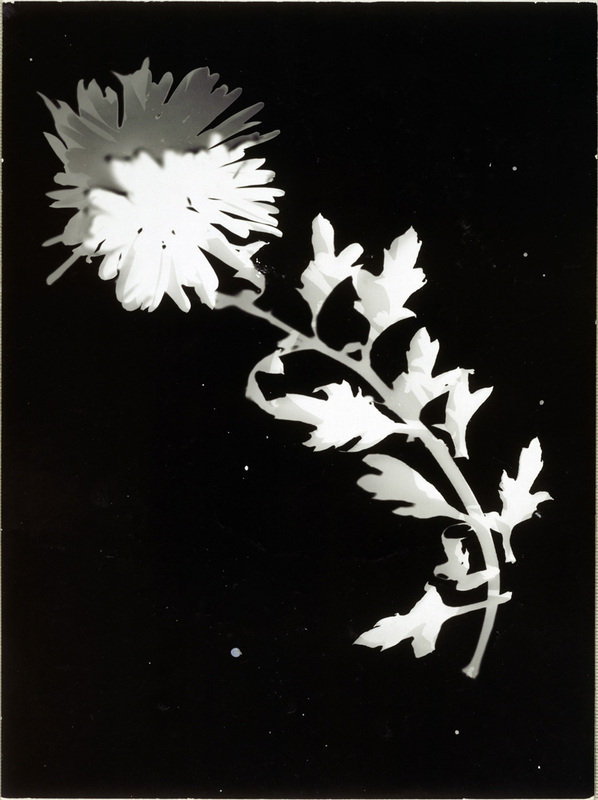 Moholy-Nagy described his development as a painter as a shift away from “painting from transparency” to a painting that was free of any representational constraints and created the possibility of painting “not with colours, but with light.” This theory reached its full potential in photography and film. 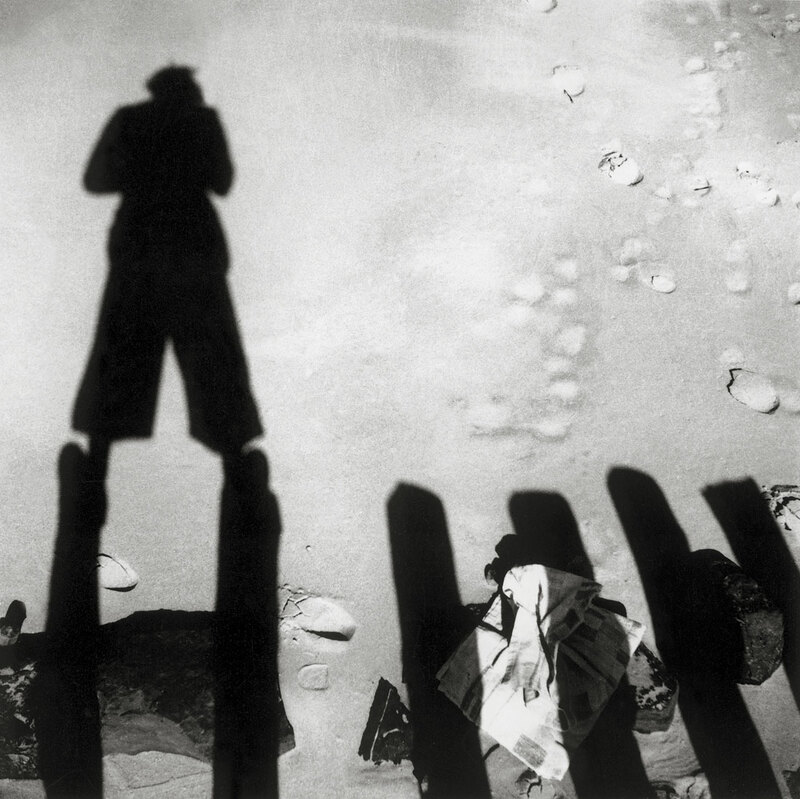 Etymologically, the word “photography” means “writing with light.” The artistic essence of film consists in the portrayal of “inter-related movements as revealed by light projections.” Although he was not in charge of the photography classes in the Bauhaus, it was there that he wrote Painting, Photography, Film, drawing upon his photographic experience. 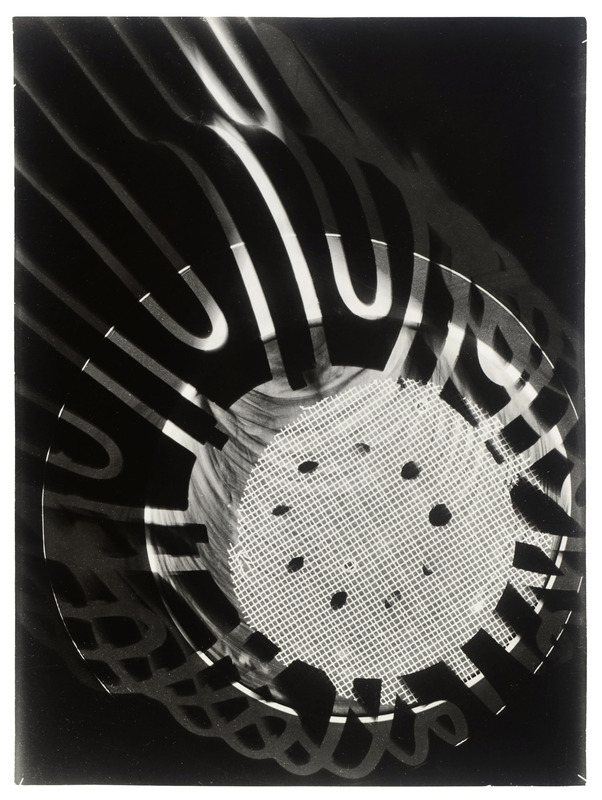 He invented the “photogram,” a purely light-based form of graphic representation, thus demonstrating an ability to create photographic images without a camera at the same time as the “Rayogram” was invented by Man Ray in Paris. 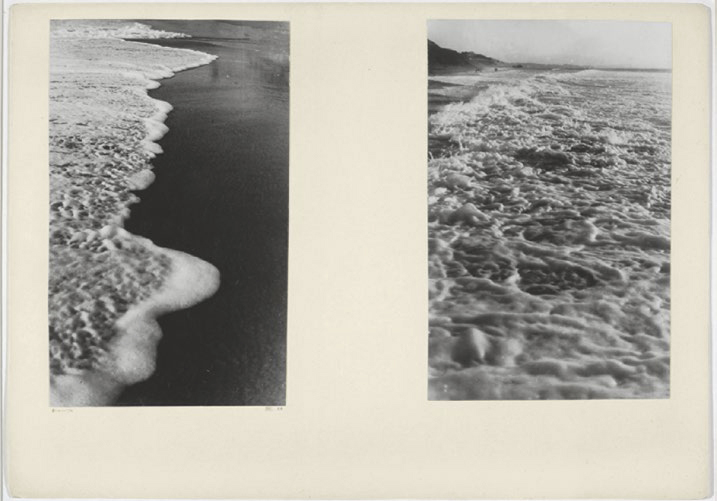 He saw photography as a completely autonomous medium whose potential was still to be discovered. 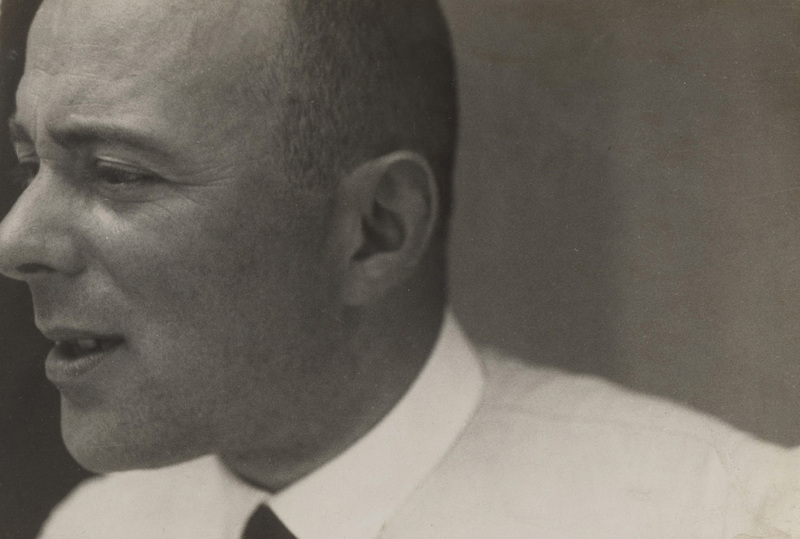 He criticized “pictoriality,” propagating an innovative, creative and productive photography. 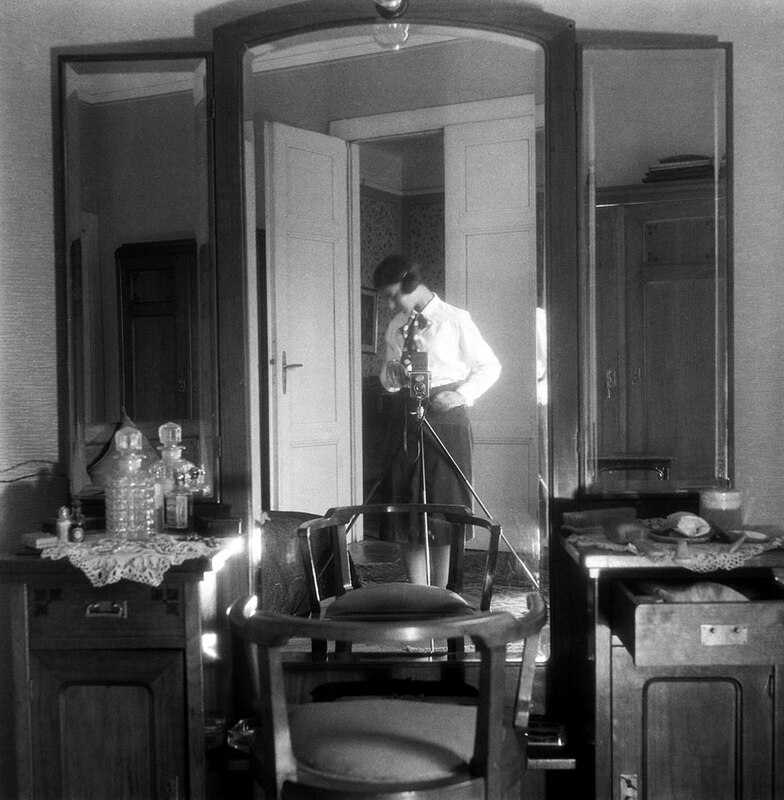 He regarded seriality as one of the main features of the practice of photography and opposed the “aura” of the one-off work in contrast to the infinite multifariousness of the photographic cliché, thus anticipating one of Walter Benjamin’s theses.